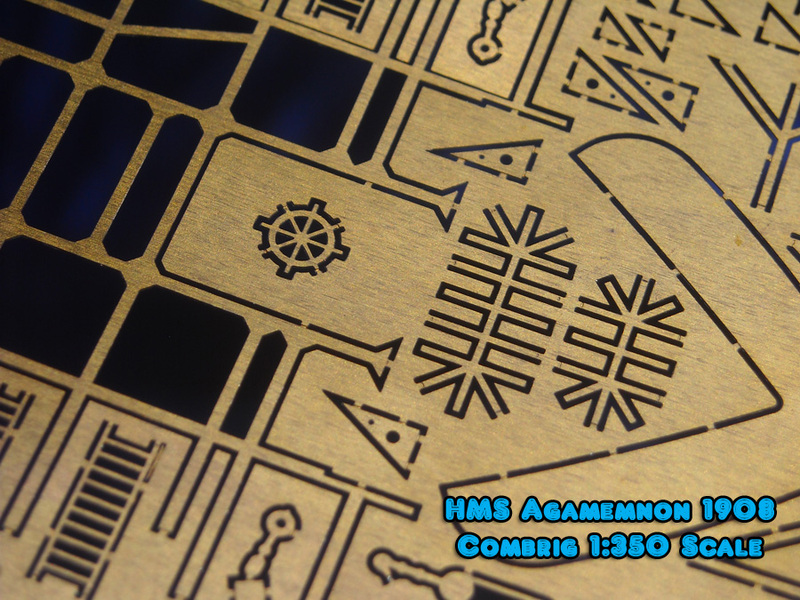 had a fork in their battleship development program and they had the rare ability to see what awaited down each path. 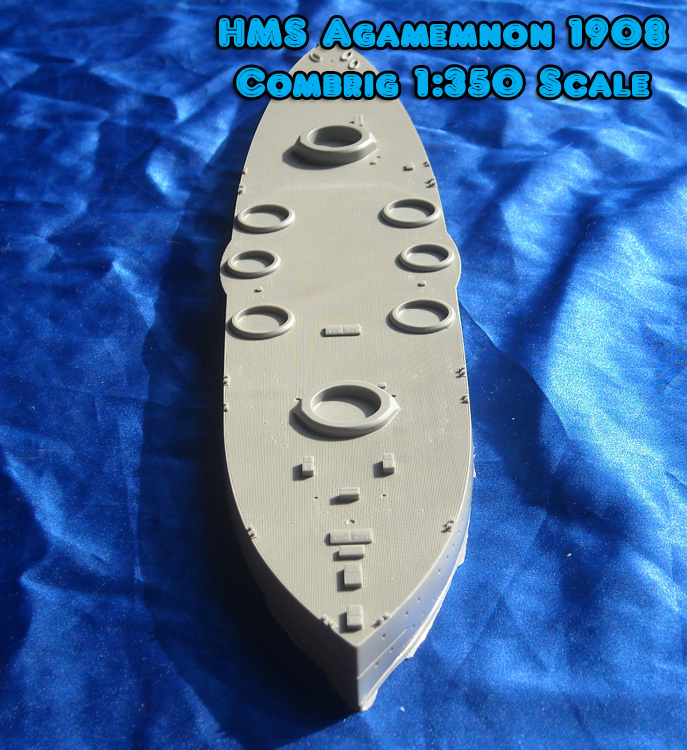 on the next British battleship design. 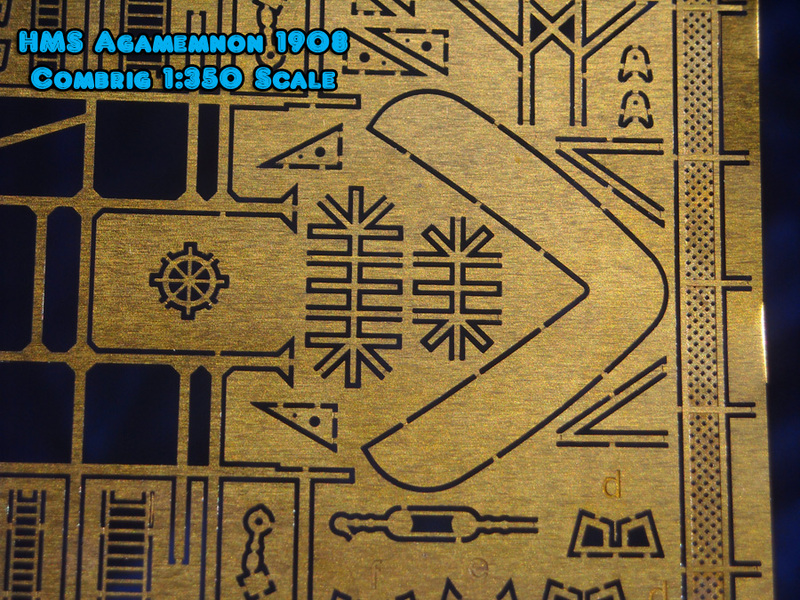 Estimates). 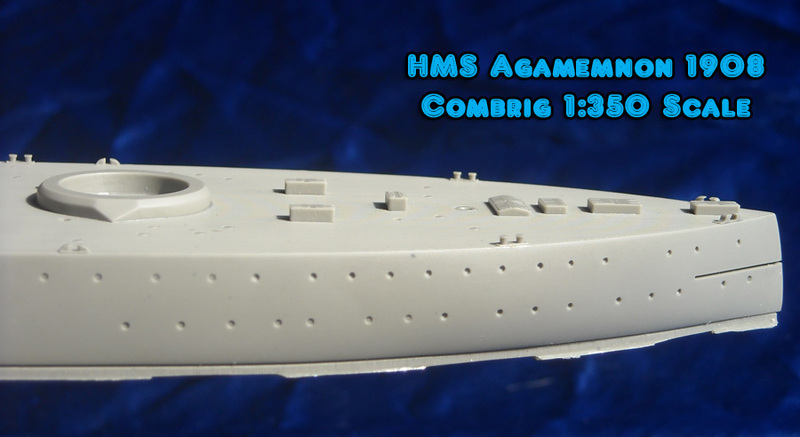 This was the King Edward VII Class of battleships. 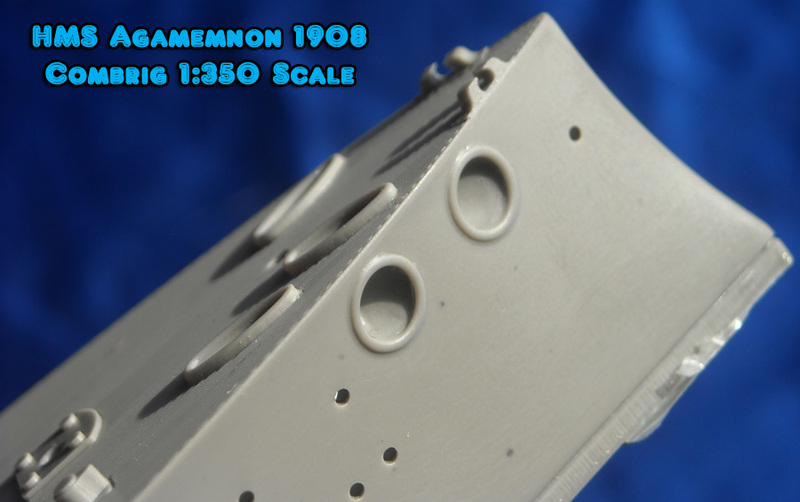 the 6-inch gun fire. 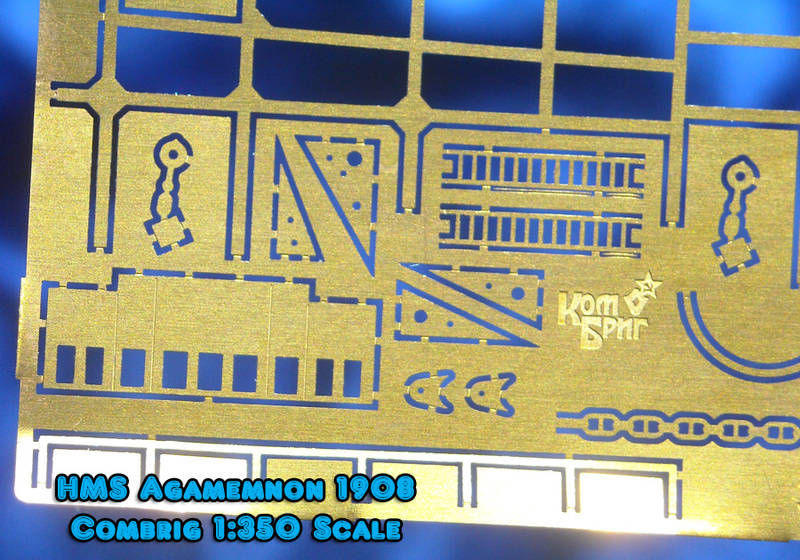 Well, Watts and Narbeth had an answer to that with the design they had already started the previous year. 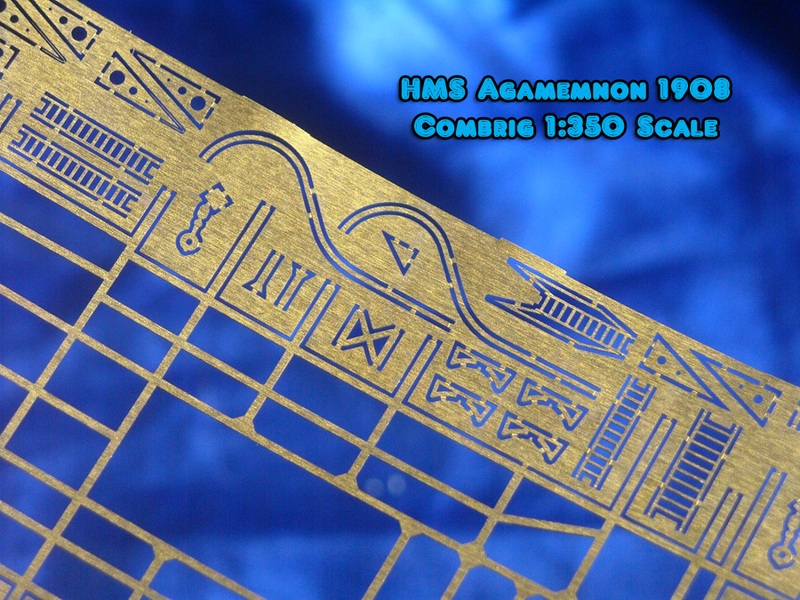 preparations were too far advanced and the Lord Nelson and Agamemnon were laid down in May 1905. 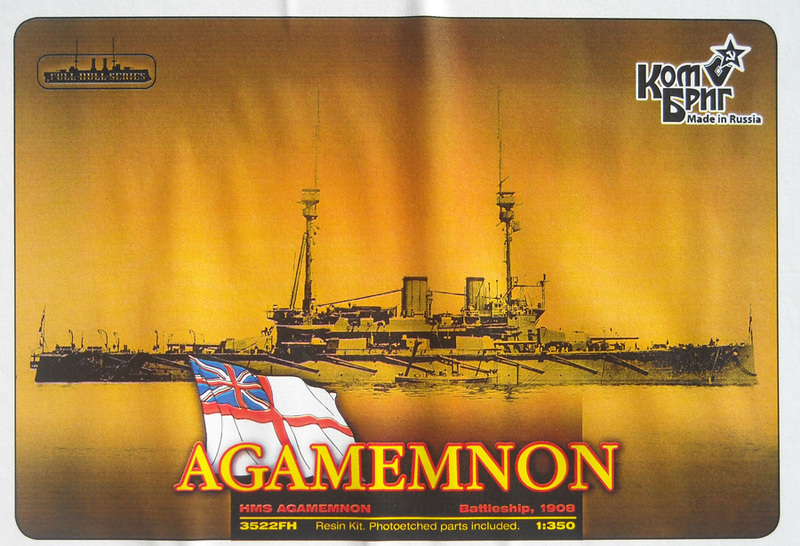 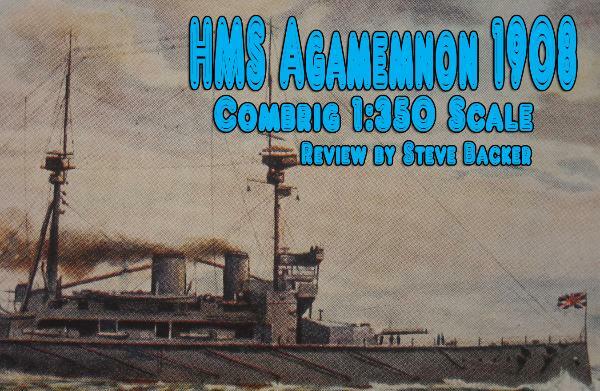 HMS Agamemnon was laid down at the Beardmore Yard on May 15, 1903 and HMS Lord Nelson was laid down at the Palmer Yard on May 18, 1905.
mast and placed on top of the conning tower. 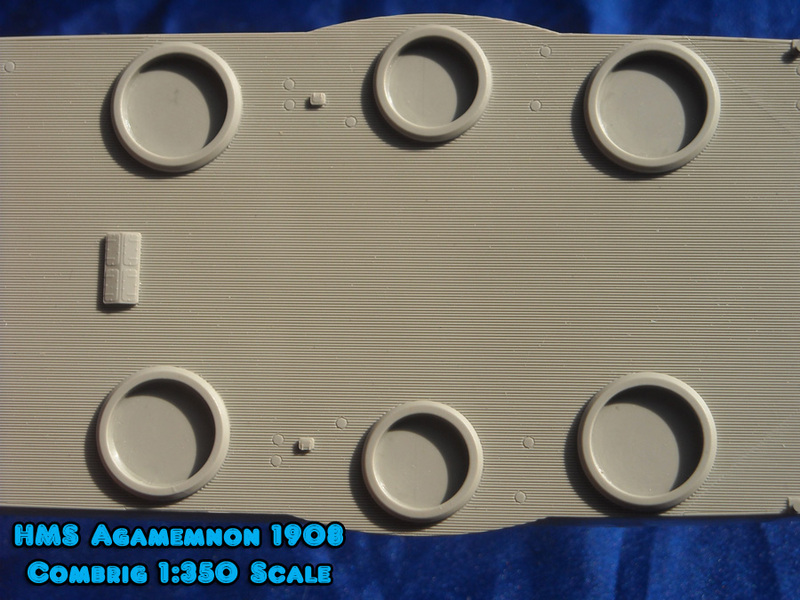 Also all 3pdr QF guns on the turret crowns were removed prior to the war. blotches tended to merge with the light gray overall paint to create the appearance of an overall gray paint scheme at any distance from the ship. 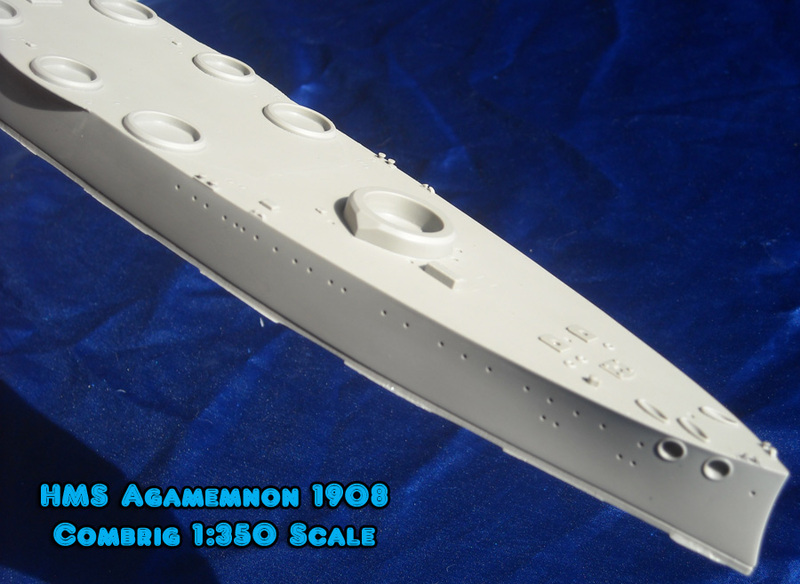 to the Gallipoli peninsula. 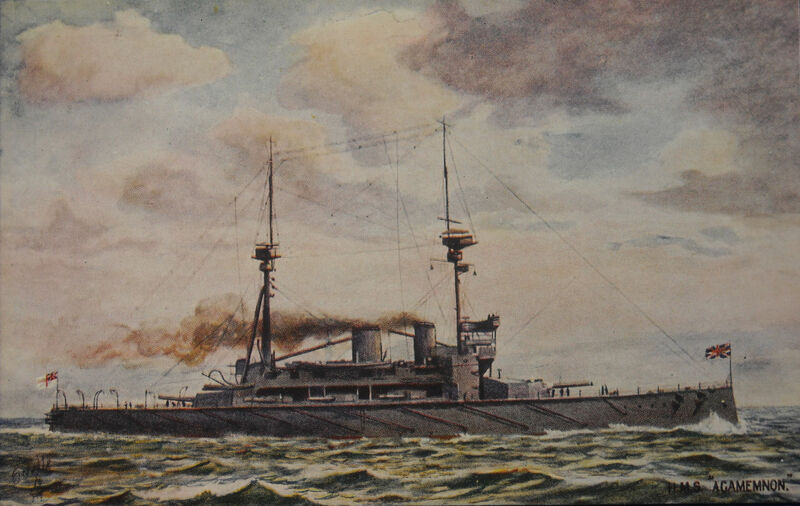 Following the evacuation of Gallipoli in January 1916, the Dardanelles Squadron was broken up and the ships reassigned to other duties. to Newport on March 1, 1927 to start the scrapping demolition. 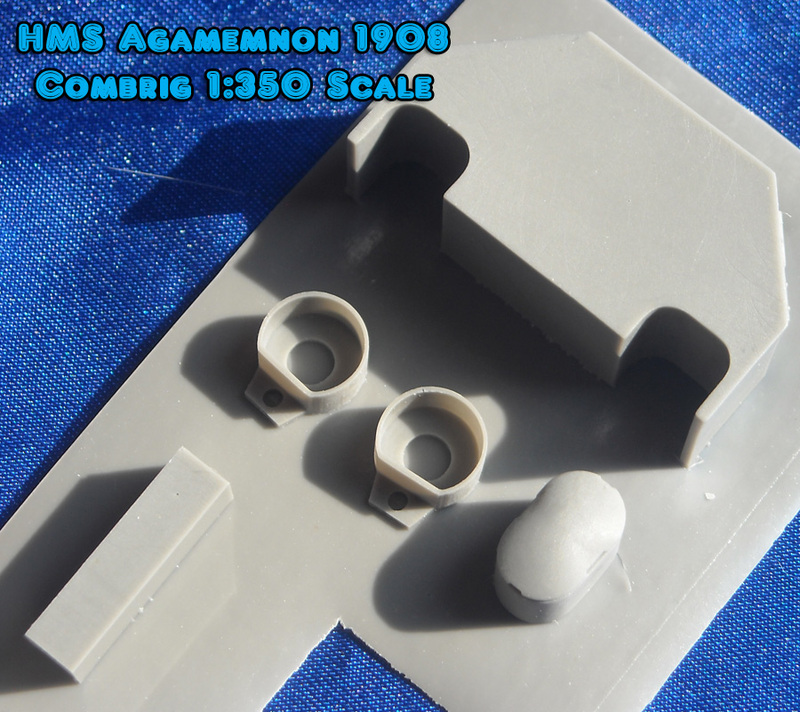 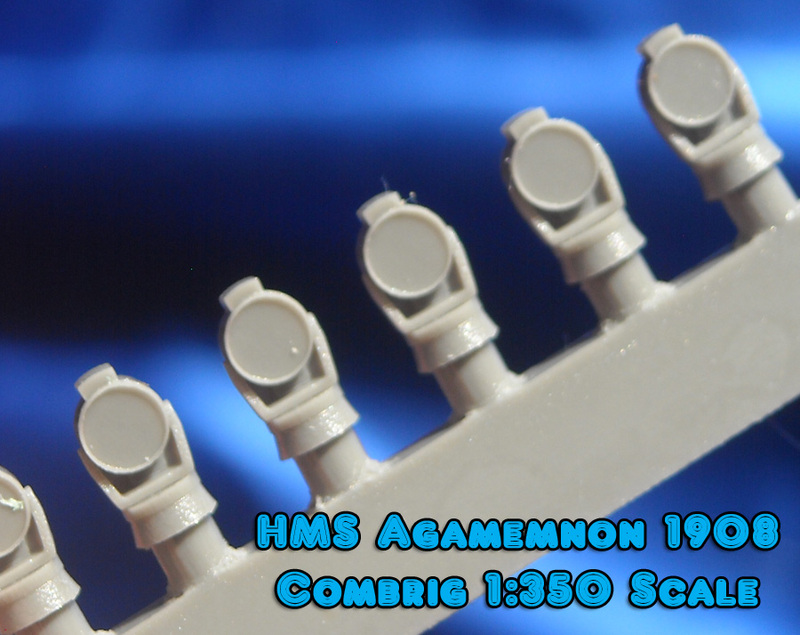 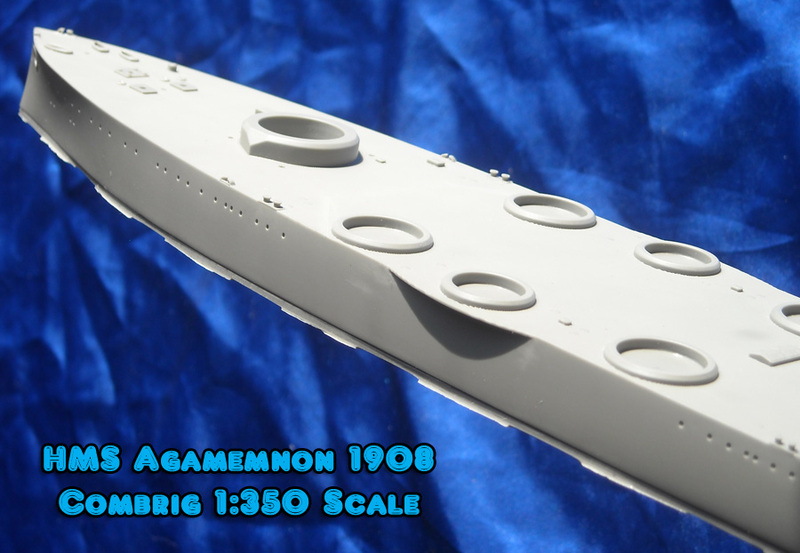 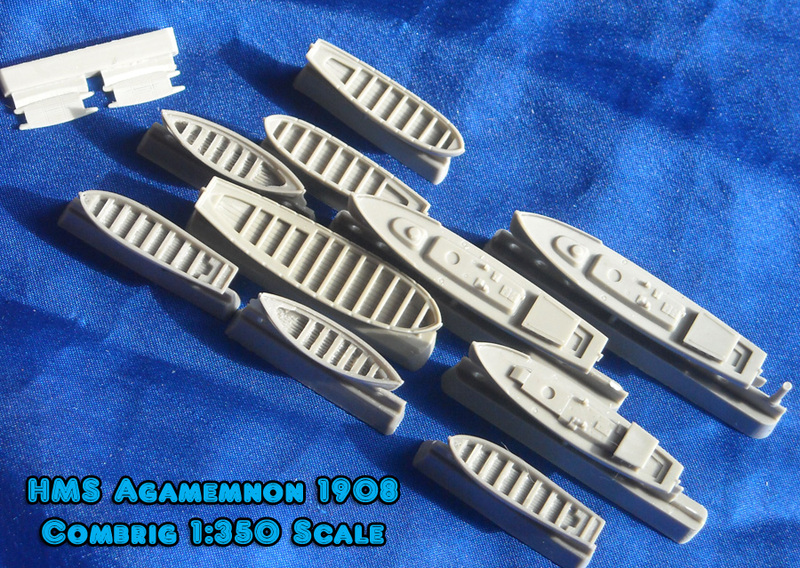 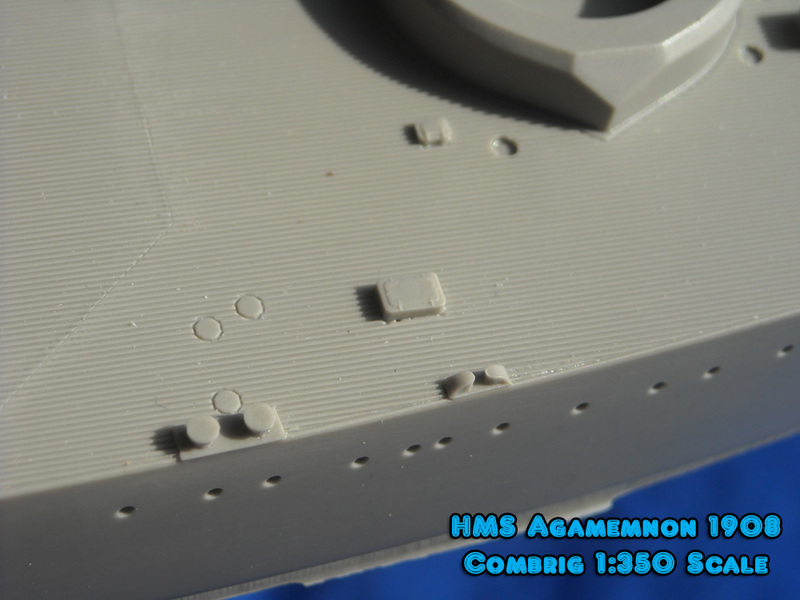 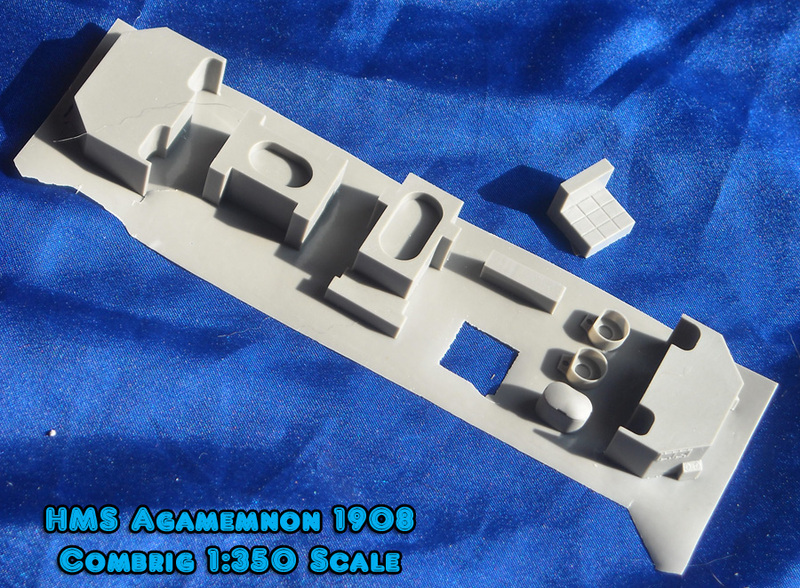 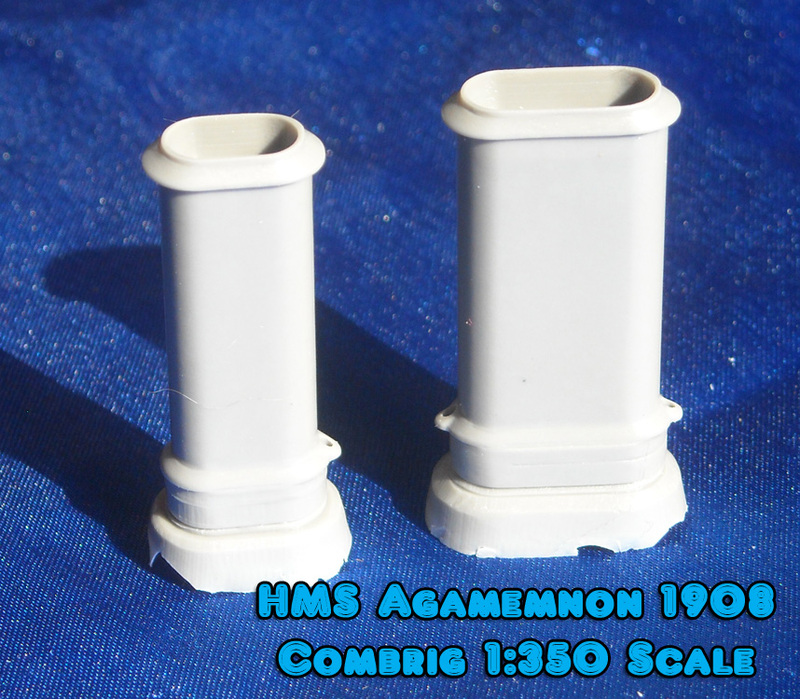 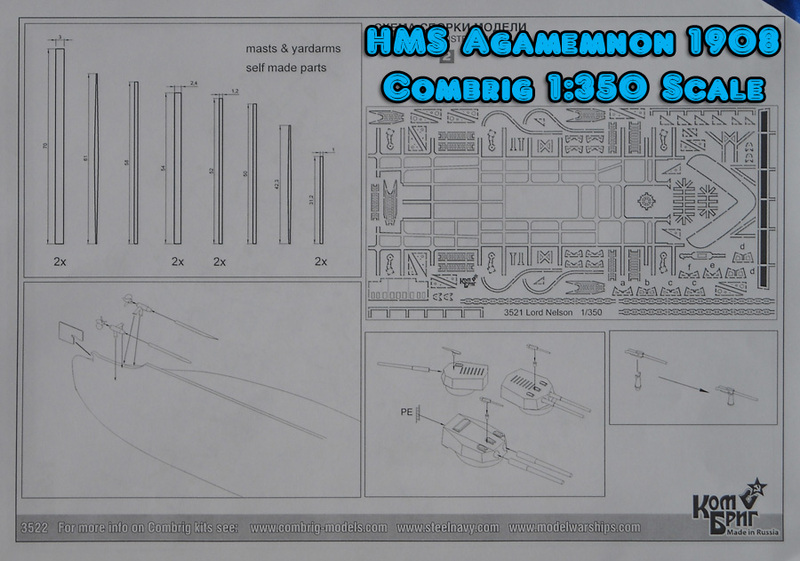 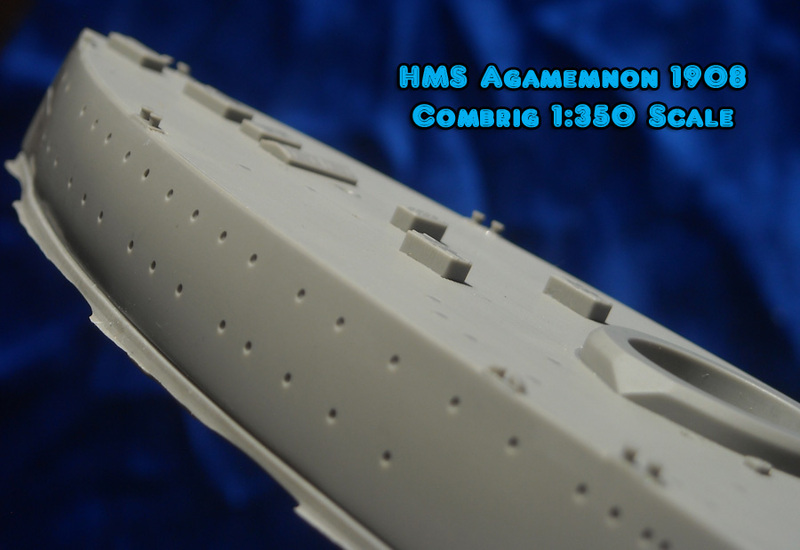 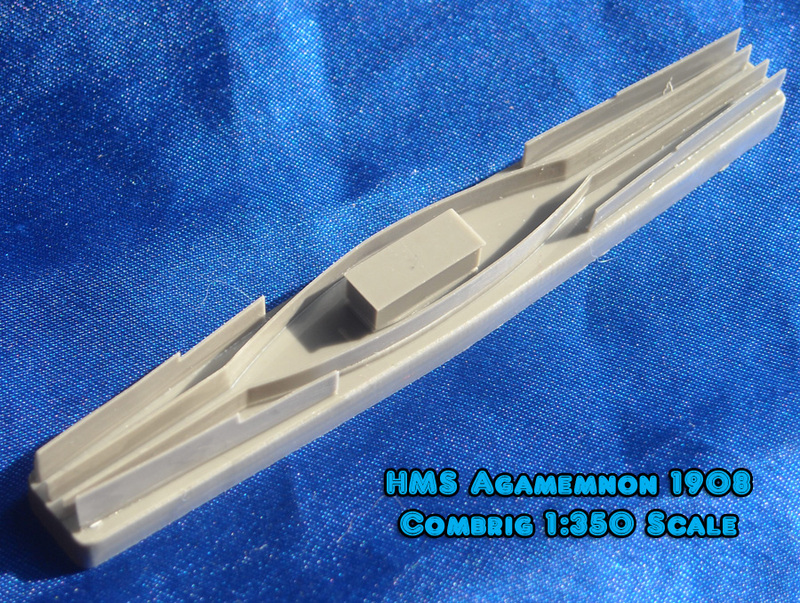 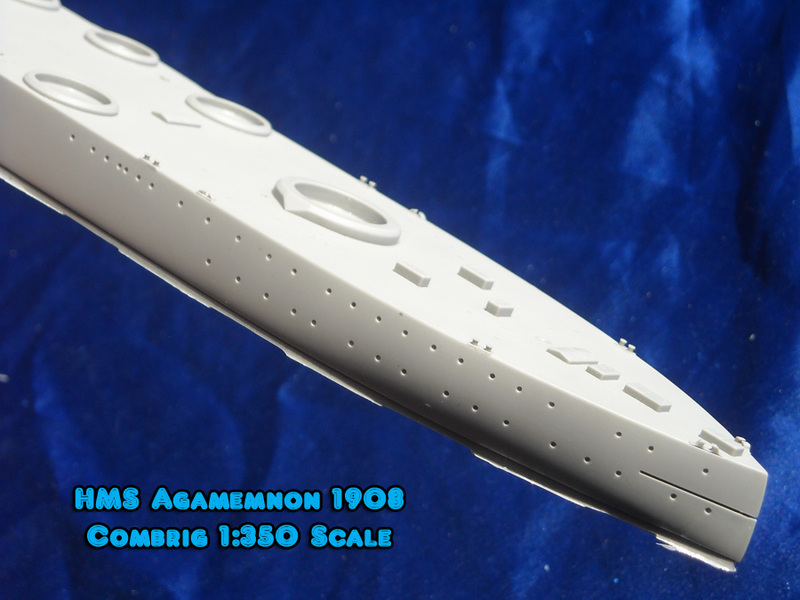 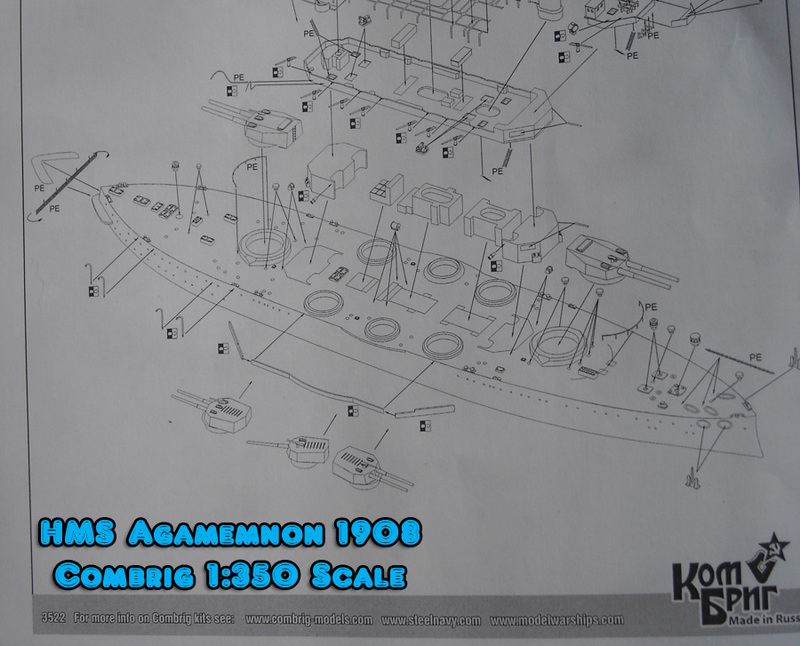 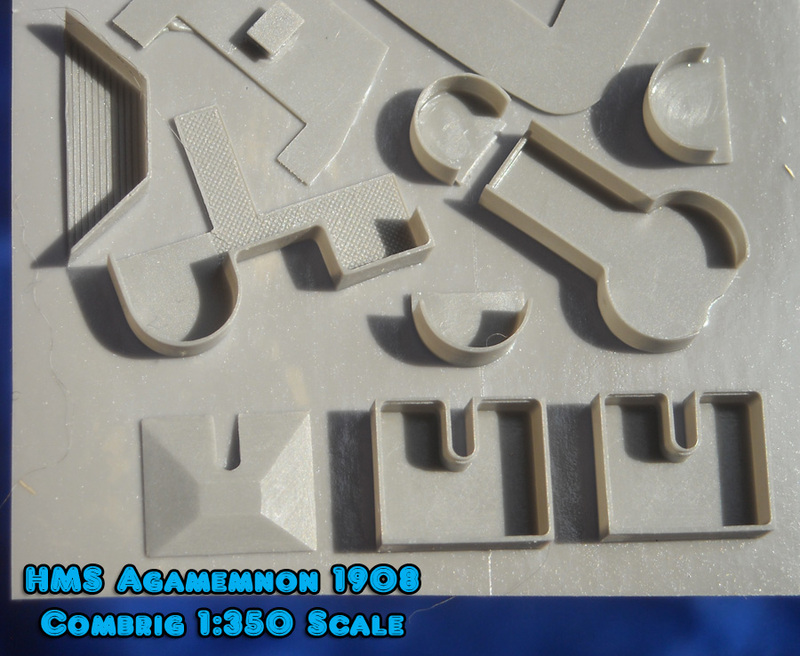 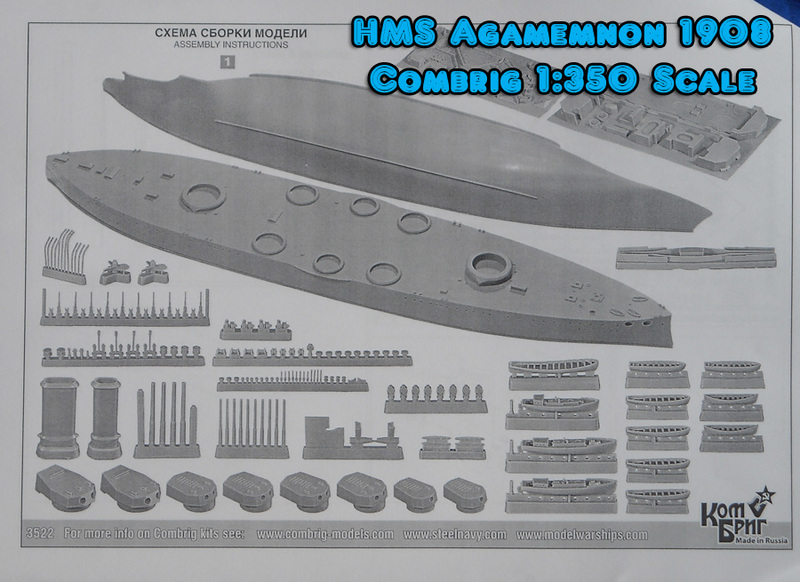 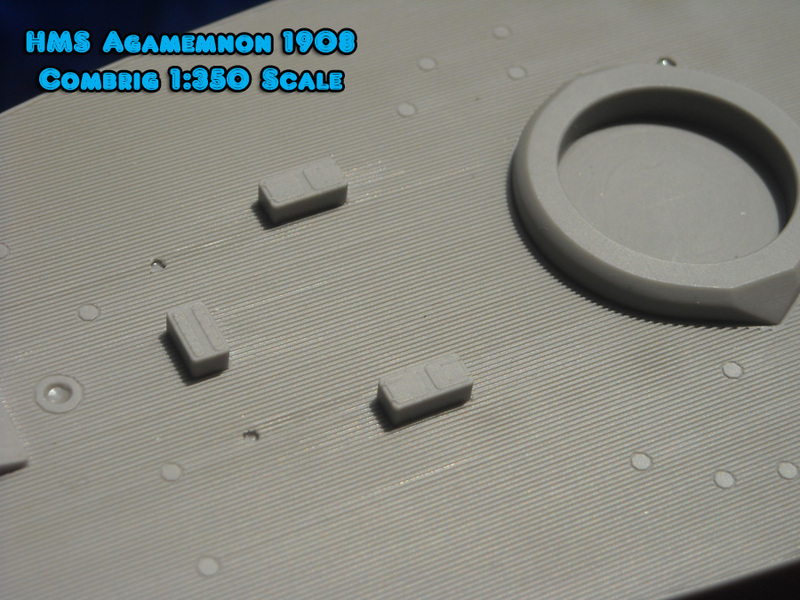 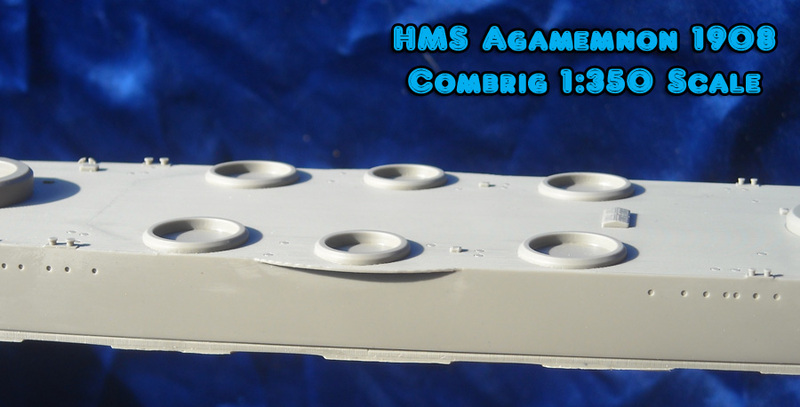 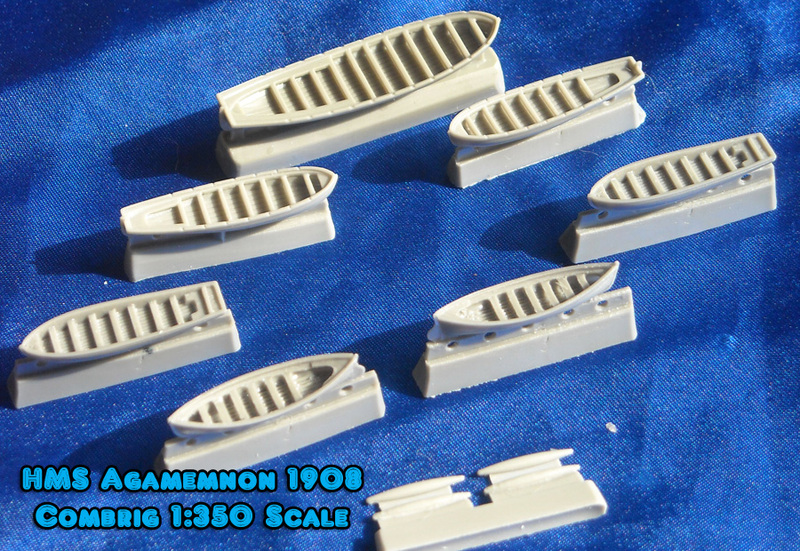 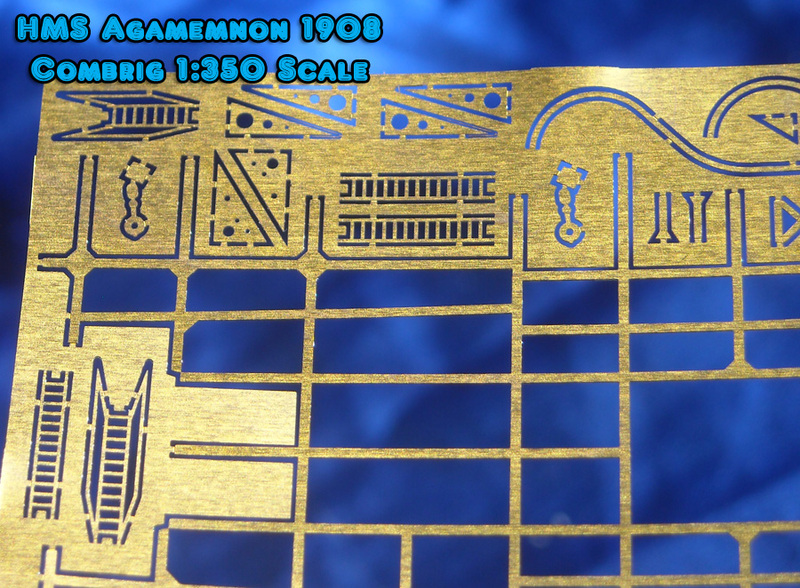 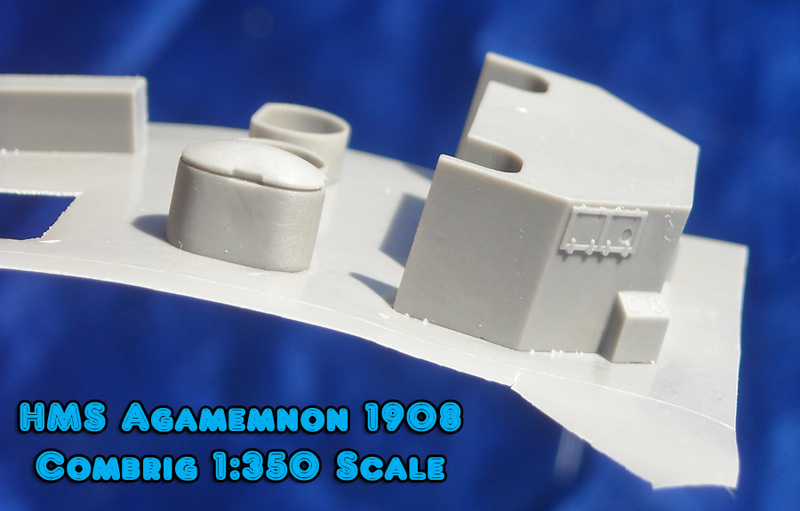 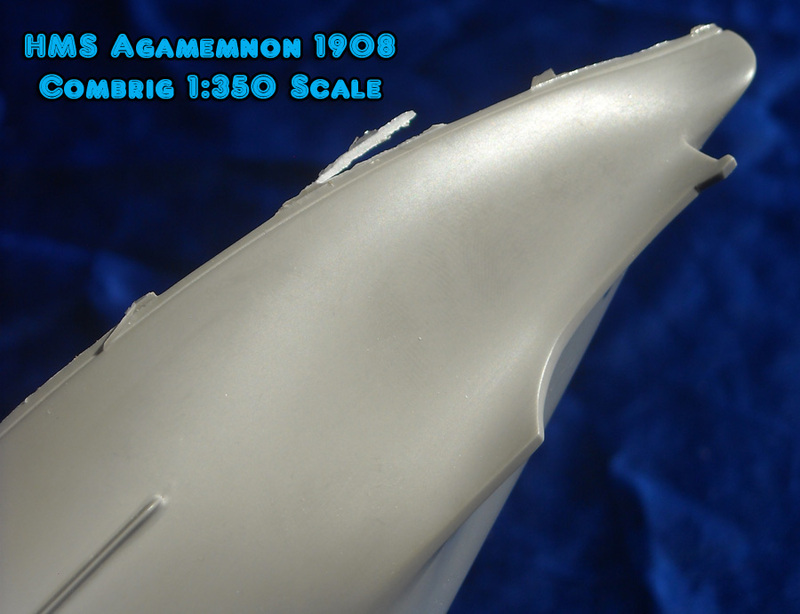 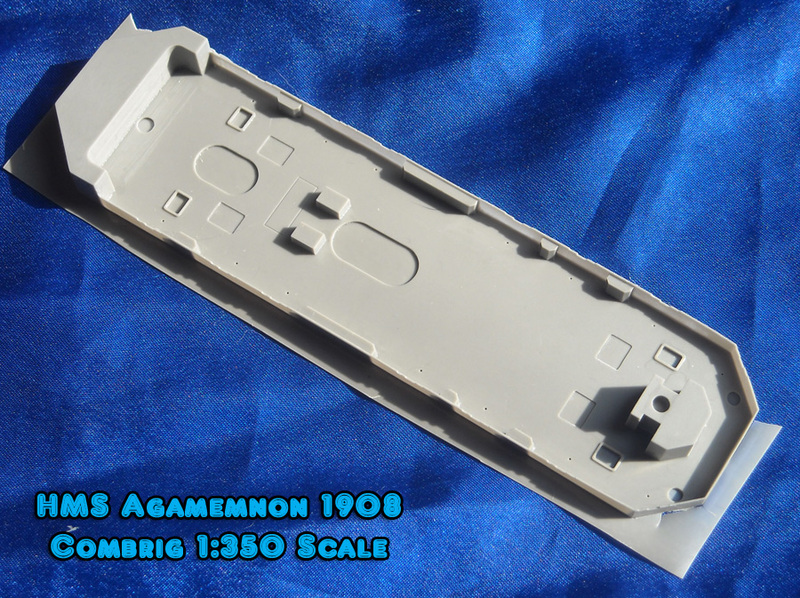 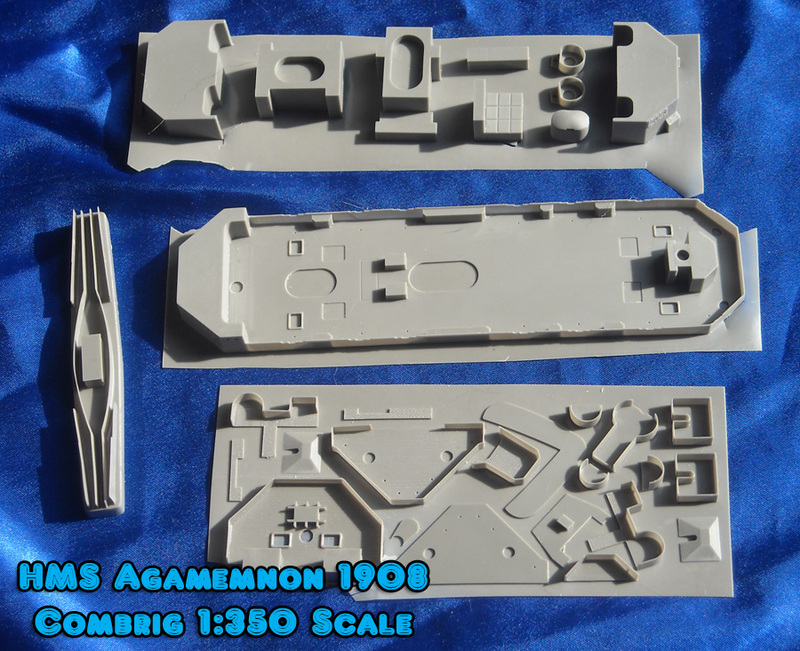 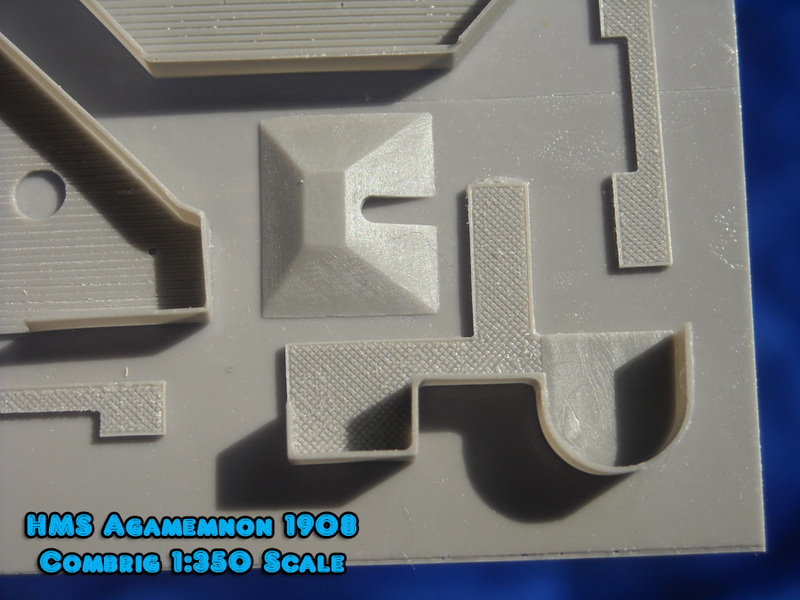 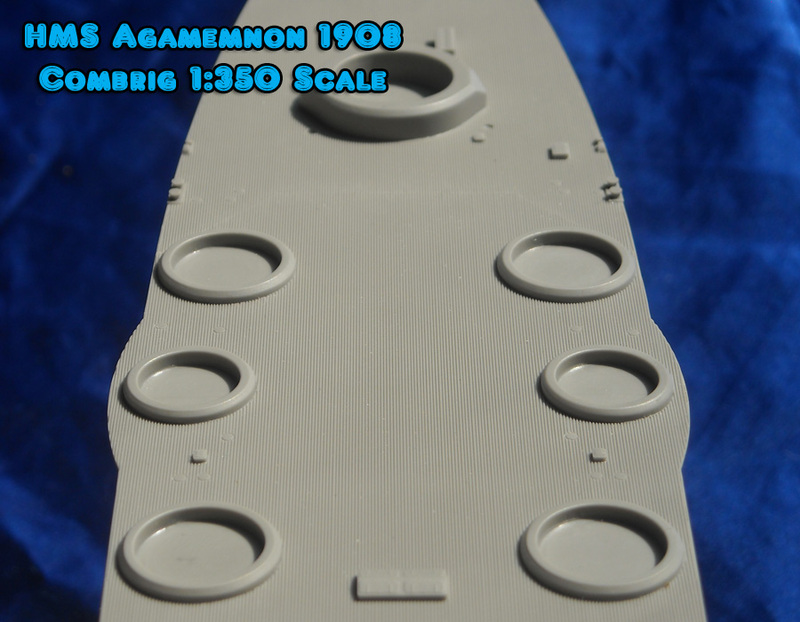 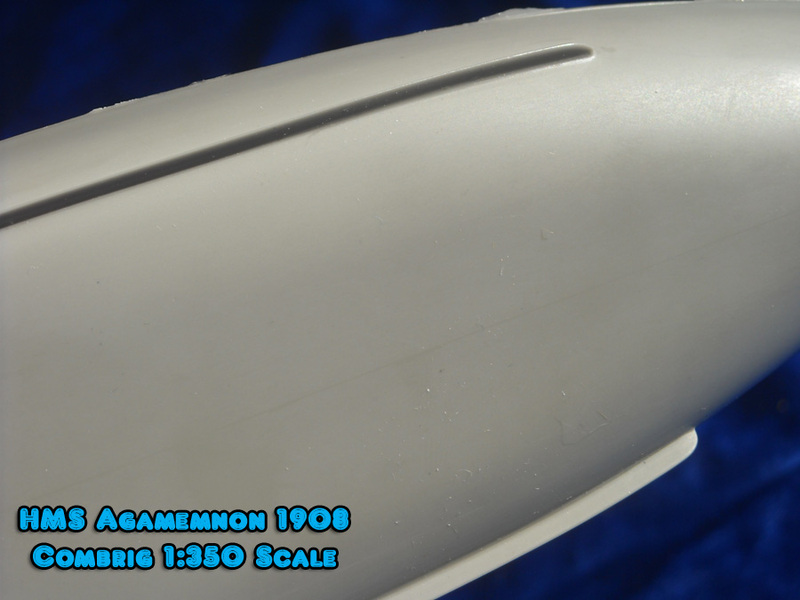 added and to accurately model Agamemnon should be added by using plastic or brass strips for the shelves, rod for the booms and rolled fabric mesh for the nets. 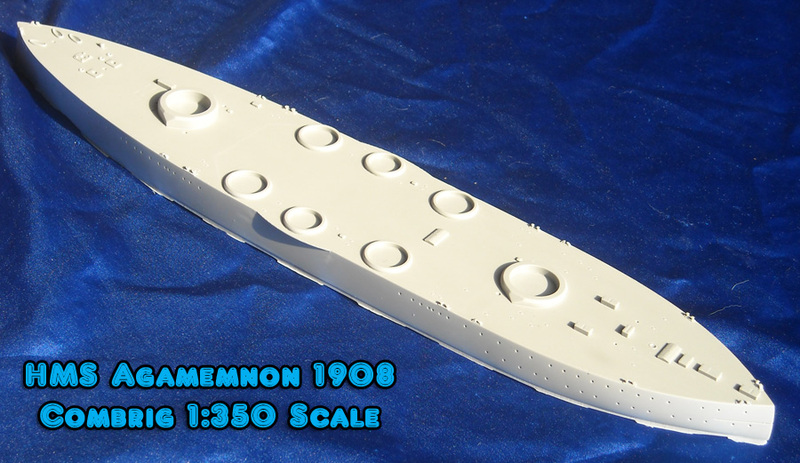 mentioned in British Battleships 1884-1904 but in a reduced size. 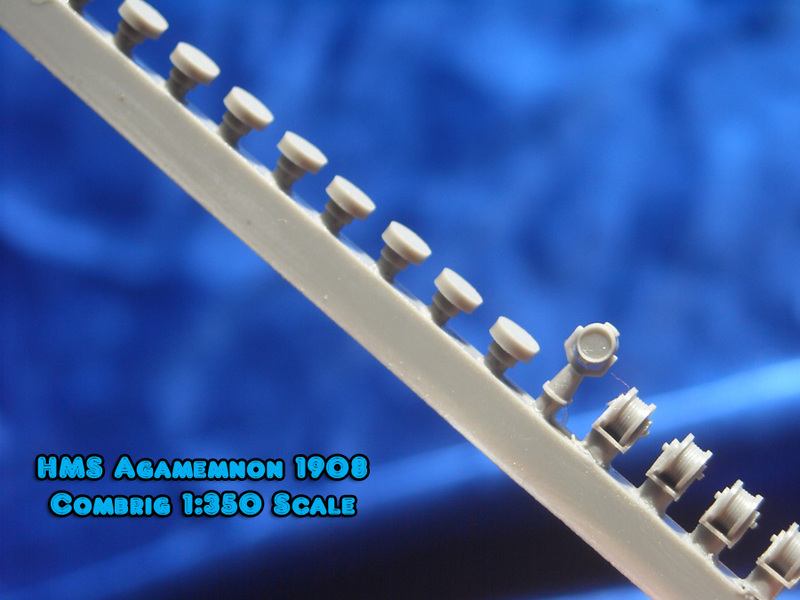 support struts. 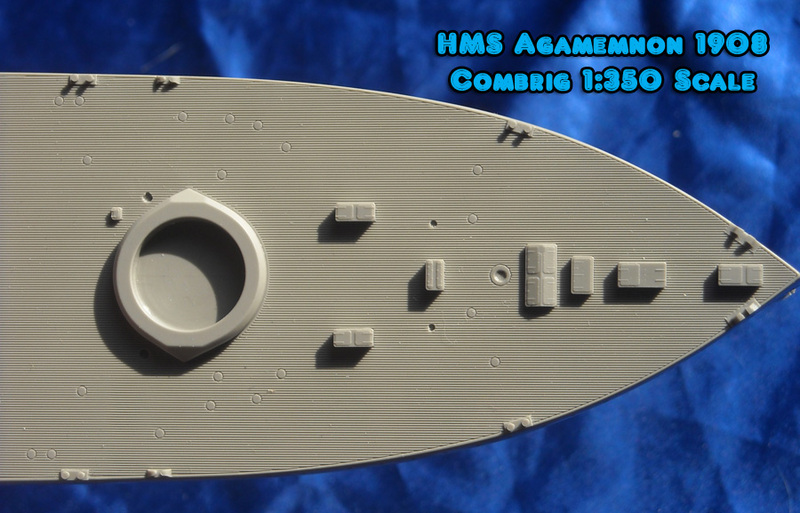 This class was also the last class of British battleship to only use two shafts and propellers. 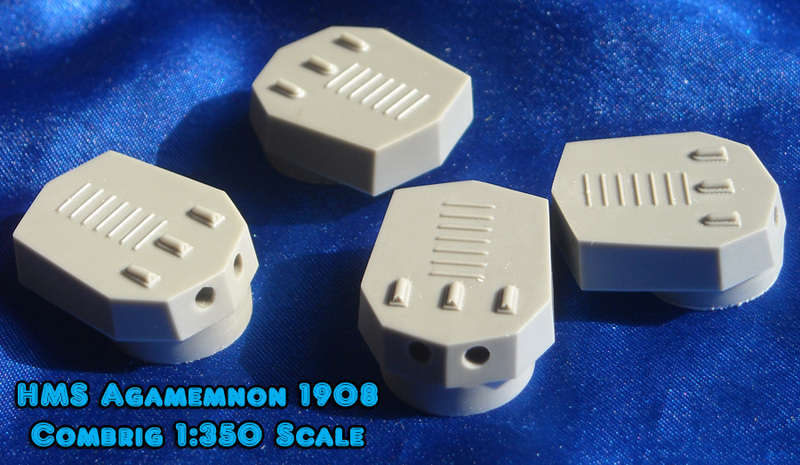 circular resin vents/plugs. 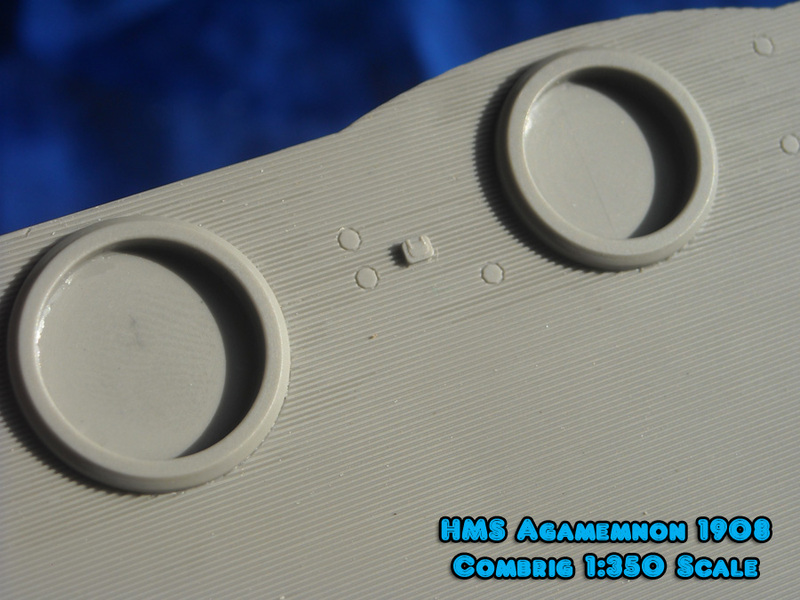 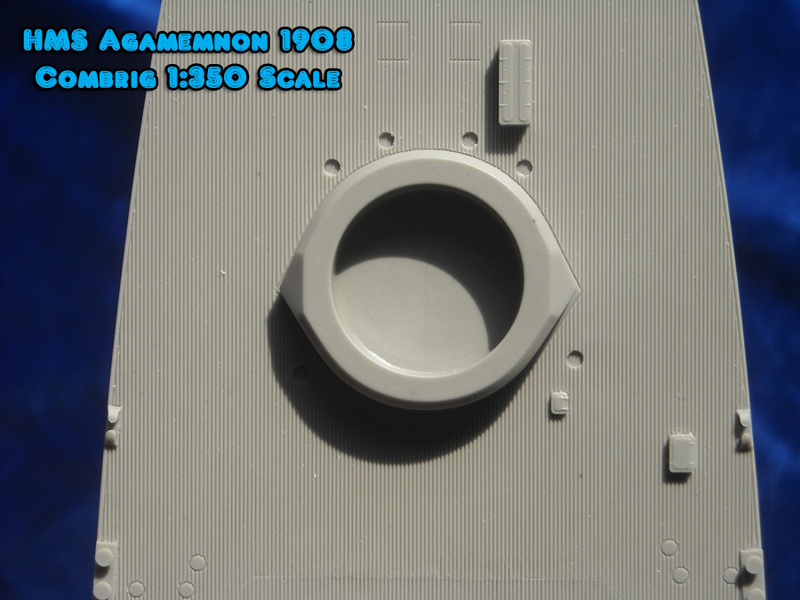 Only the forward main gun barbette is sufficiently deep that the twin 12-inch turret doesn’t need sanding of the bottom of the casting plug. 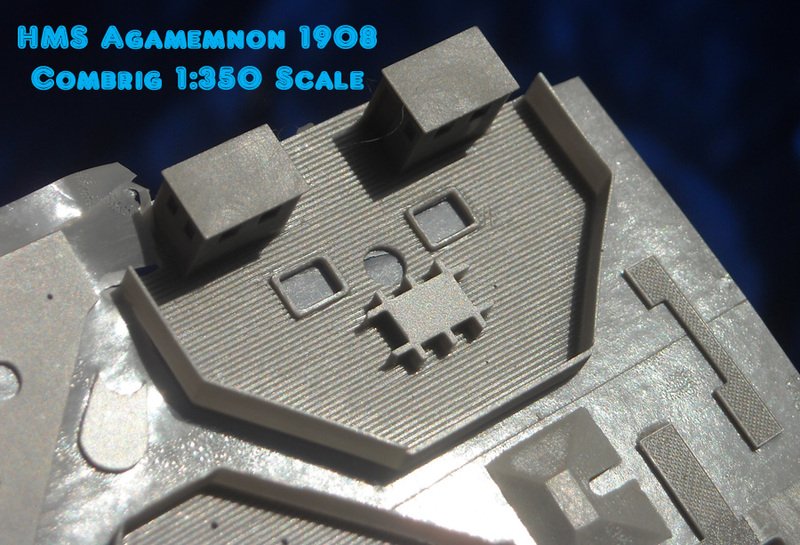 the front face of the turrets. 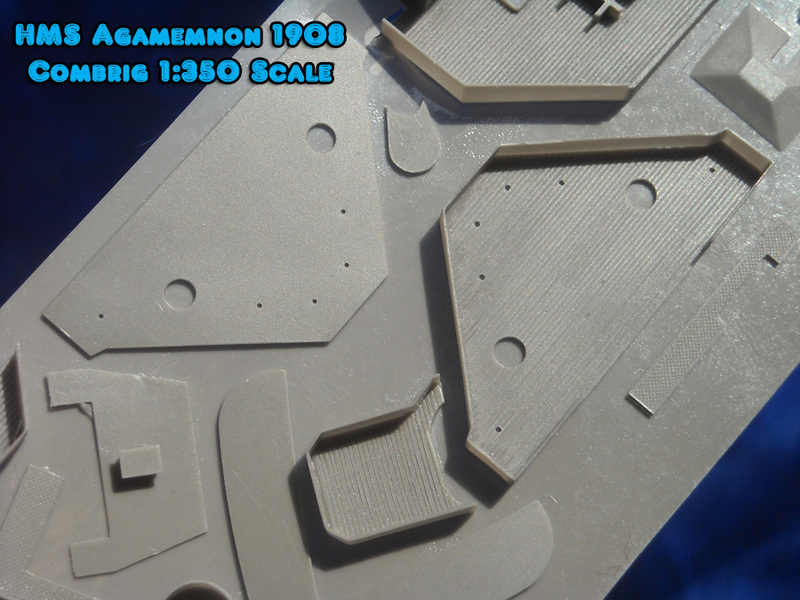 The lines seam too far apart to serve as an anti-skid feature. 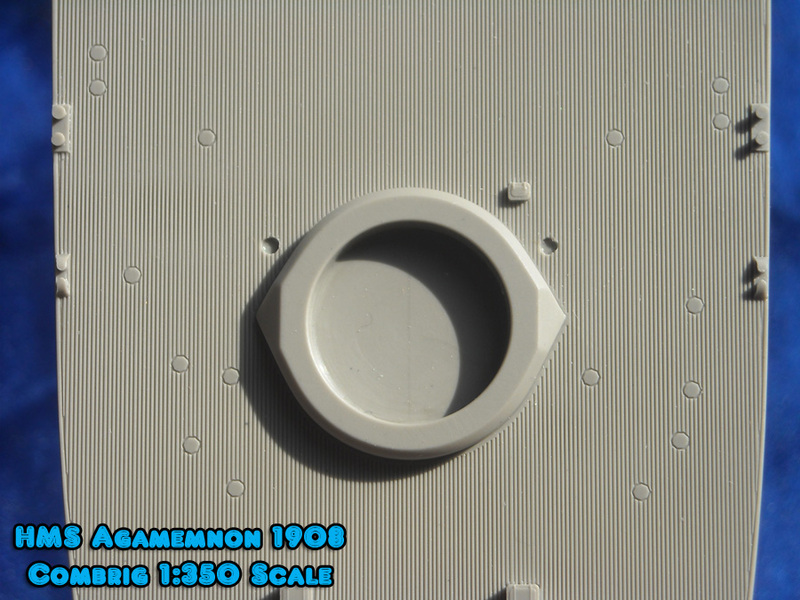 variances between the Burt plan and a photograph on page 294 showing the crowns of a single and twin gun 9.2-inch turret crown of Agamemnon taken in 1918.
rear corner of the crown. 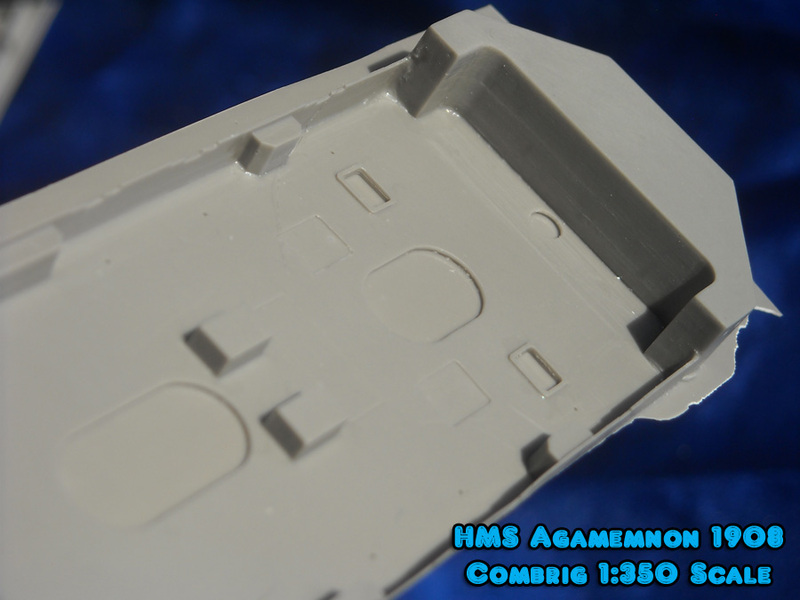 The photograph also shows the same square access hatch on centerline at the rear end of the twin 9.2-inch gun turret but on centerline. 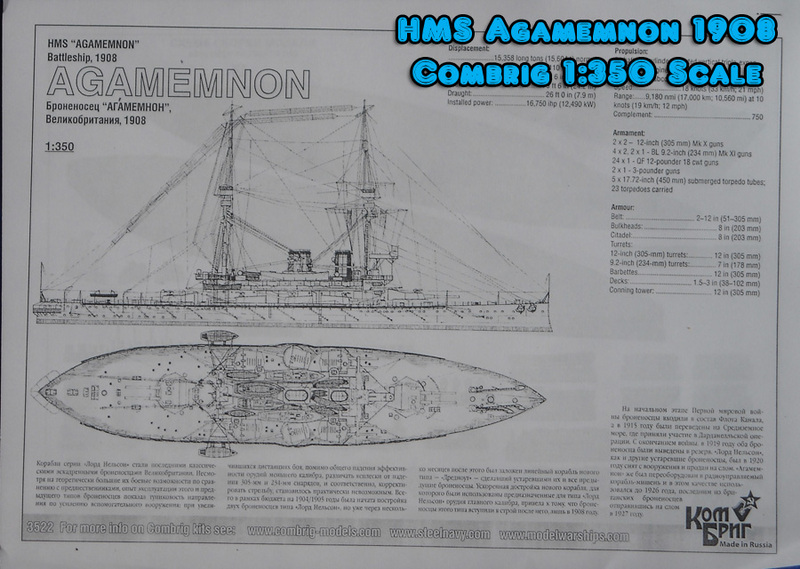 profile of Agamemnon as of June 1908 drafted by A. D. Baker III. 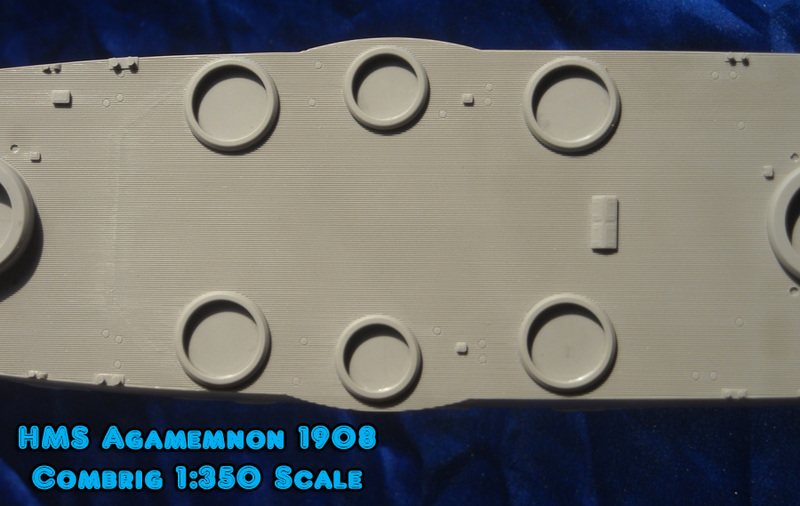 funnel base. 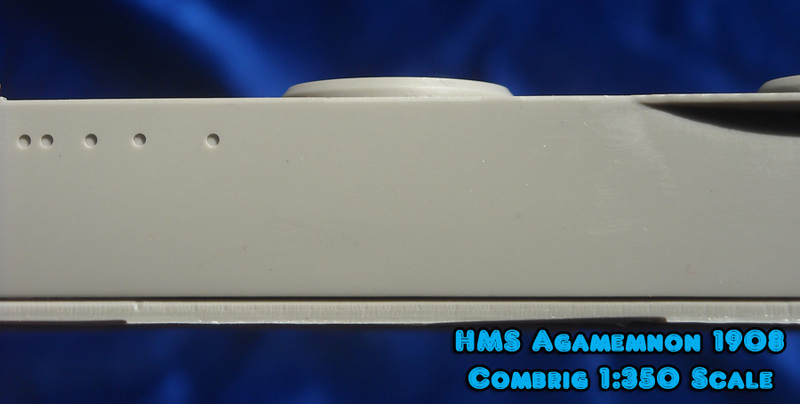 The conning tower has vision slit detail. 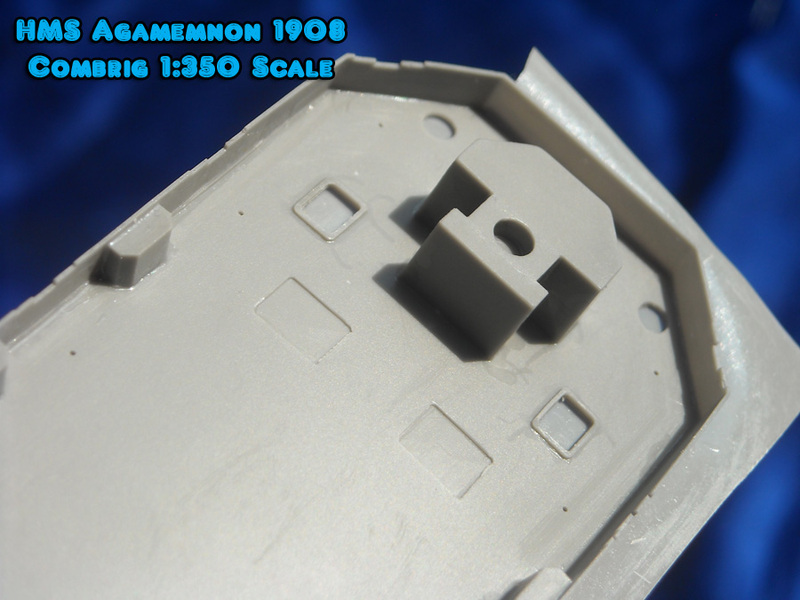 The ventilator structure has the door detail for the doors that were opened to get air into the machinery spaces. 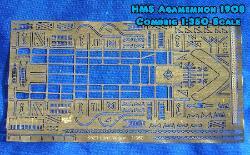 as elsewhere, is to cut off the solid shielding and use brass railing covered by tissue or fabric to represent the canvas dodgers. 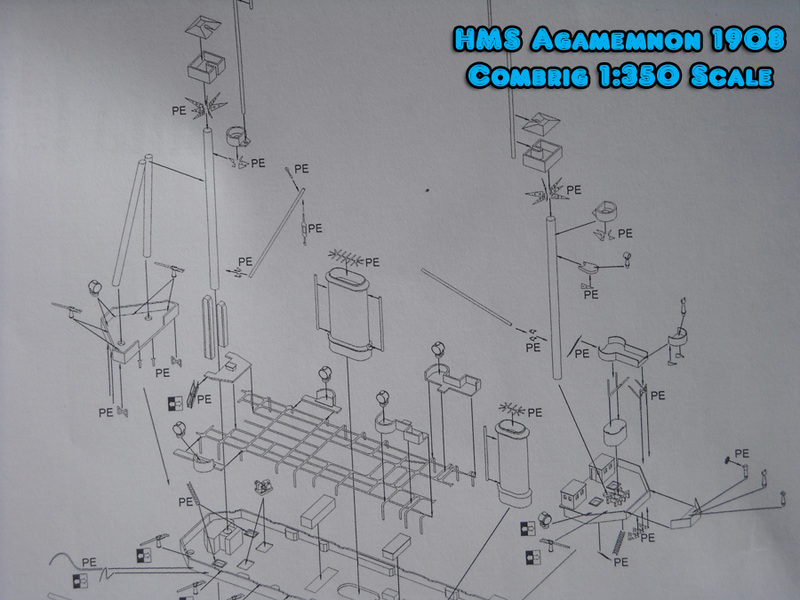 mast. 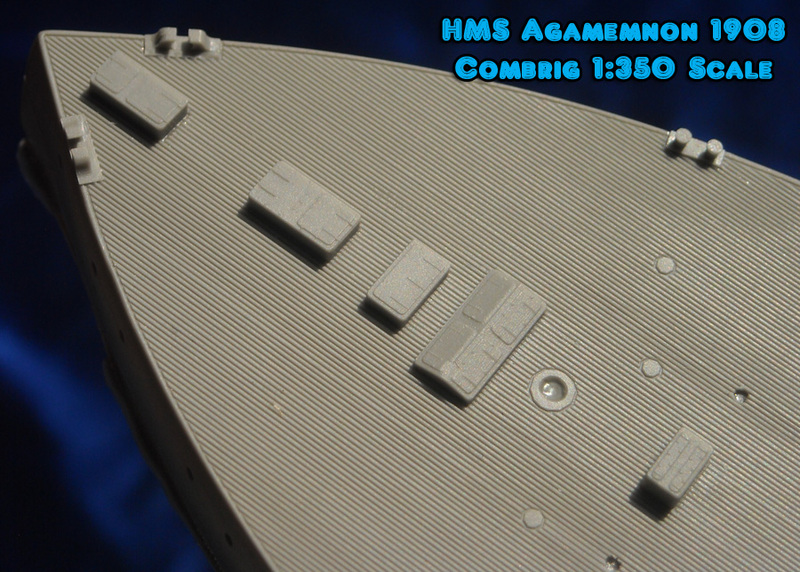 It is open so there is no splinter shielding to remove and has a ammunition locker for the QF open guns found on the platform to the rear of the main mast. be cut from brass or plastic rods. 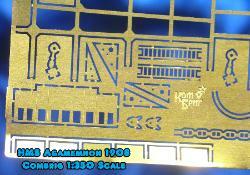 The instructions provide a template of what will be needed in lengths and circumferences. 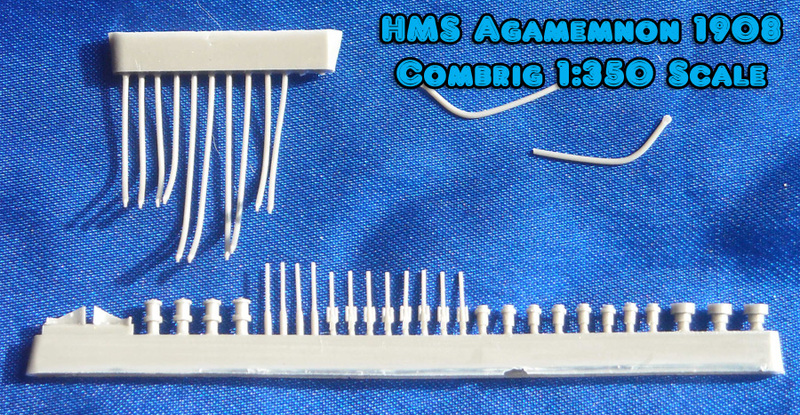 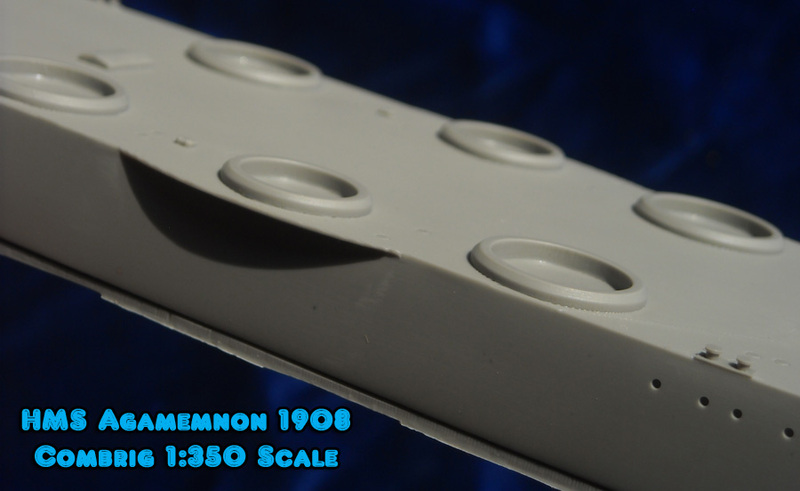 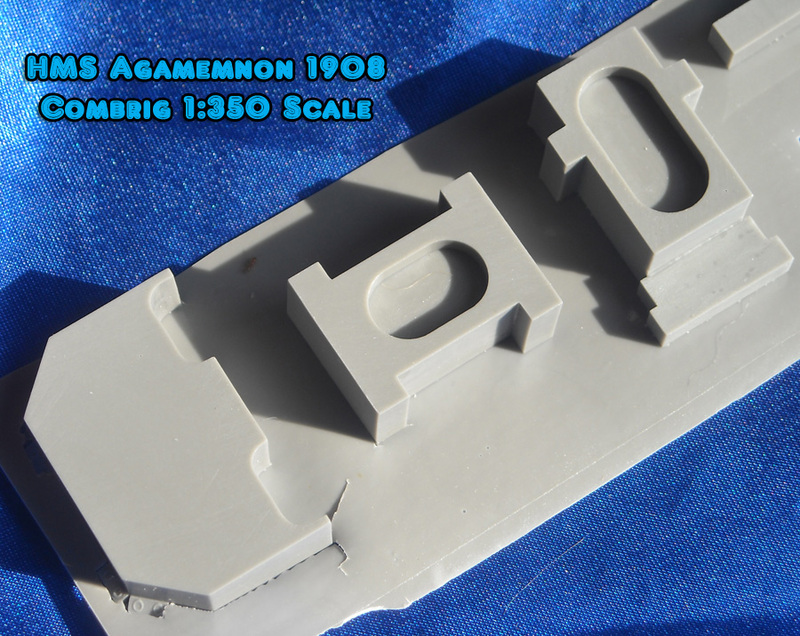 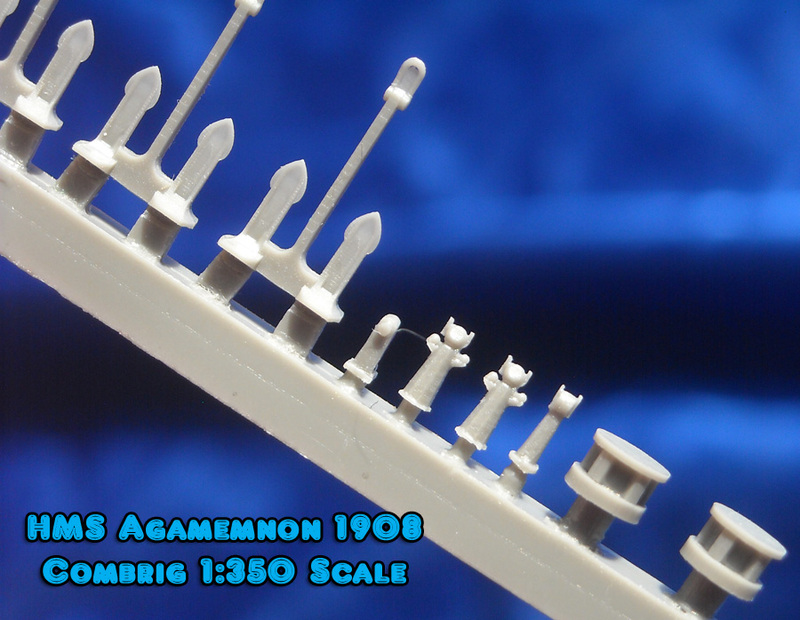 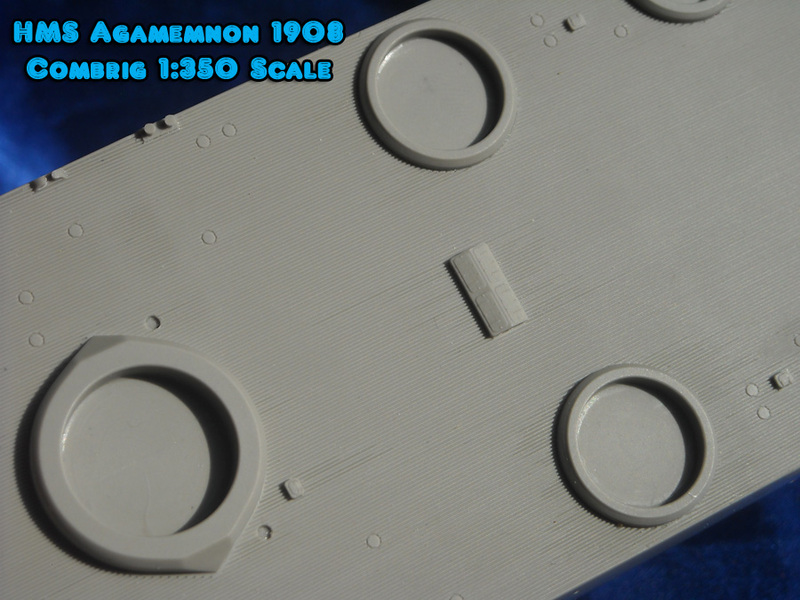 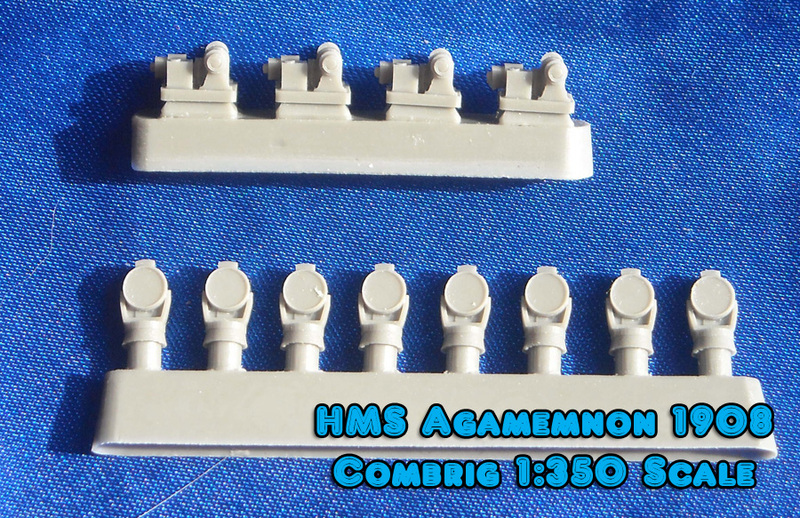 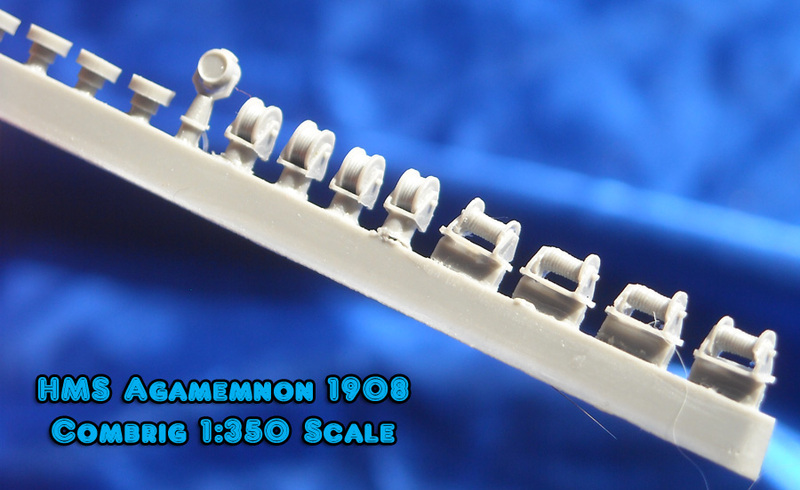 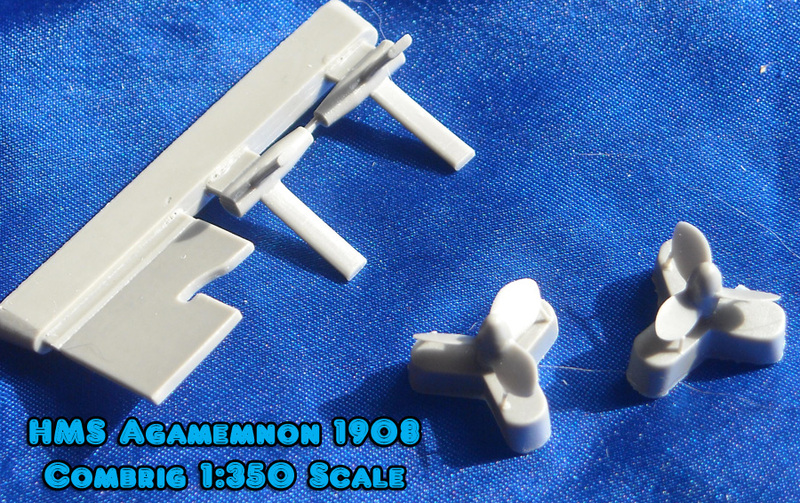 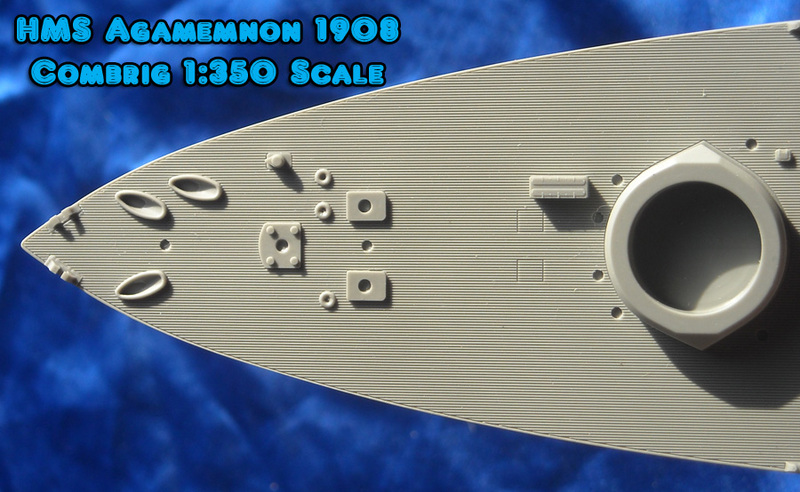 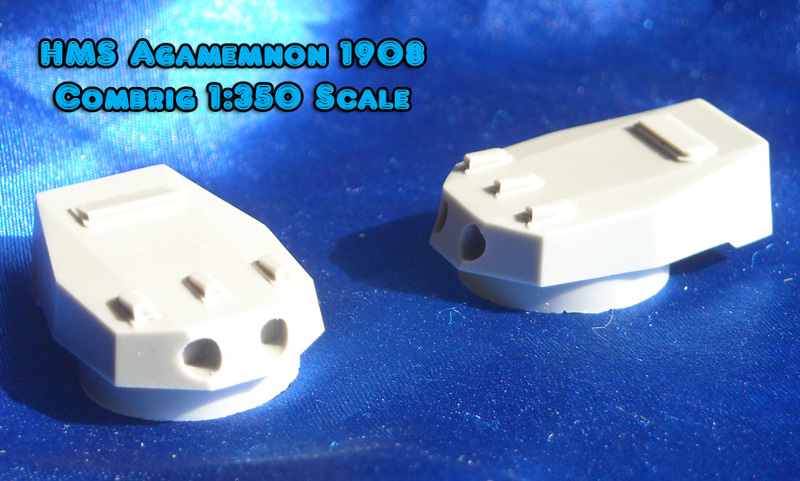 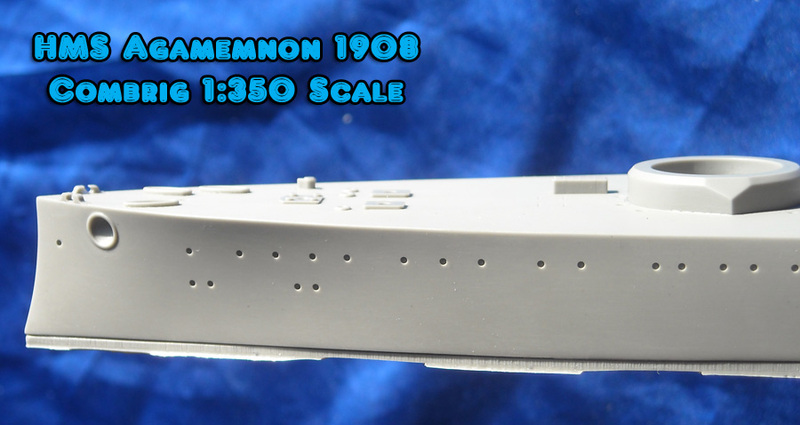 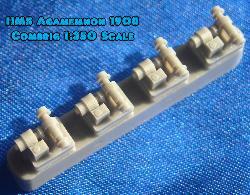 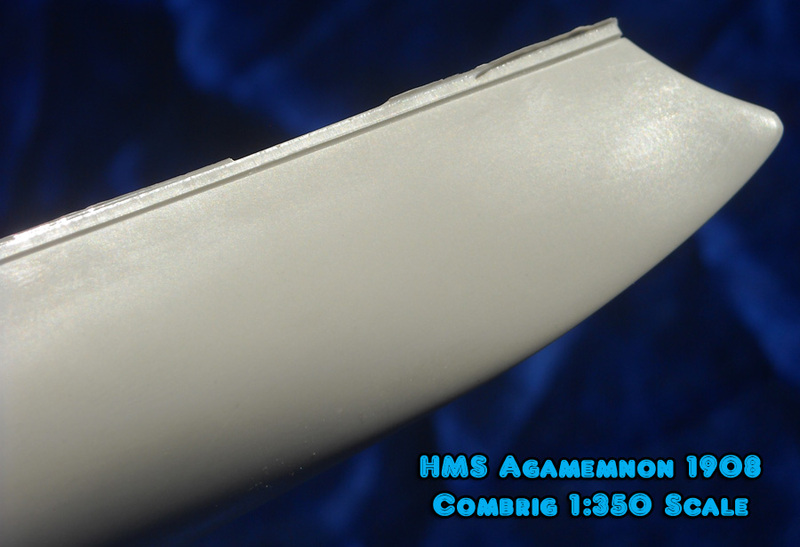 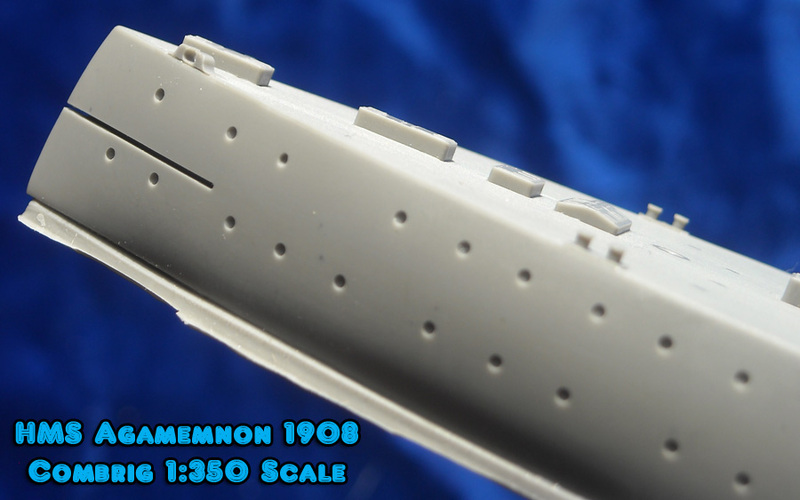 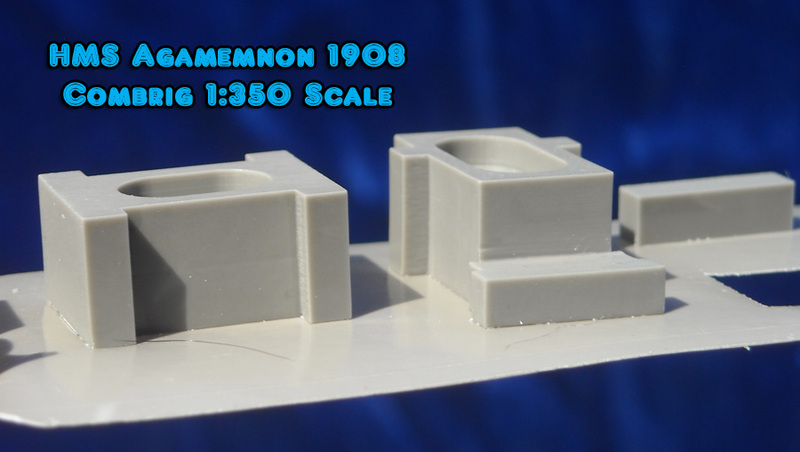 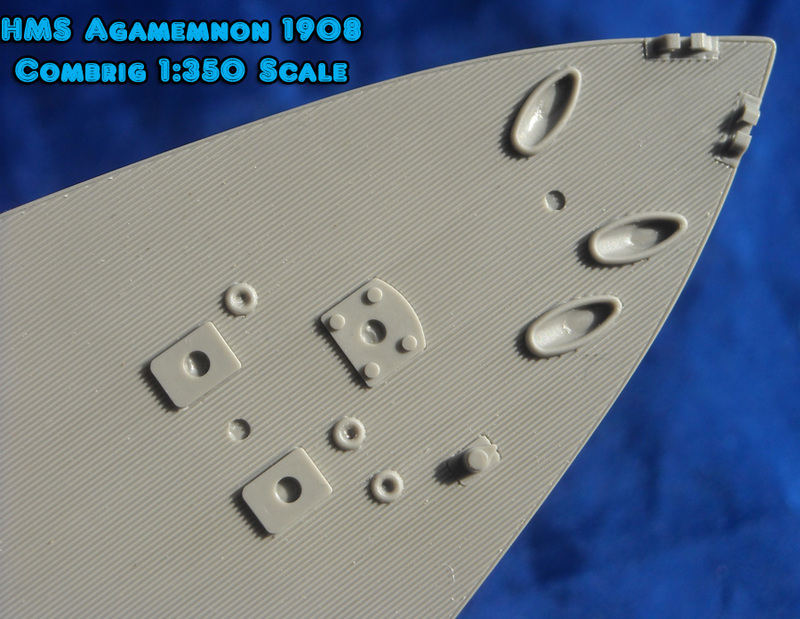 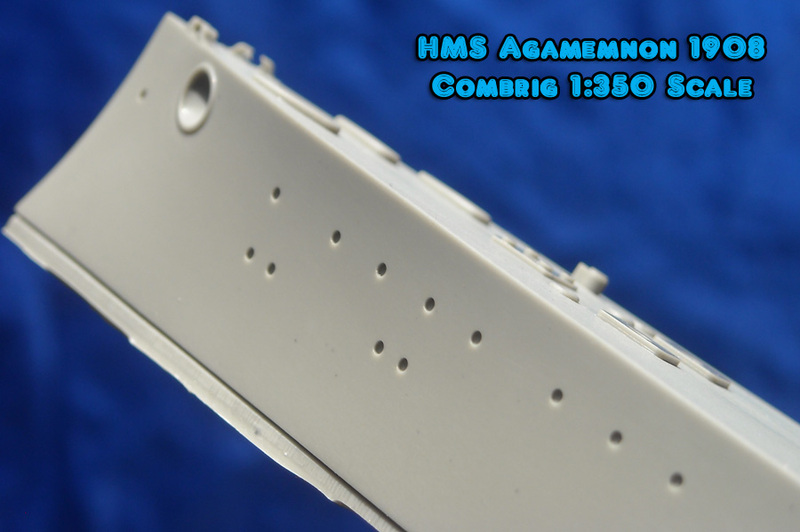 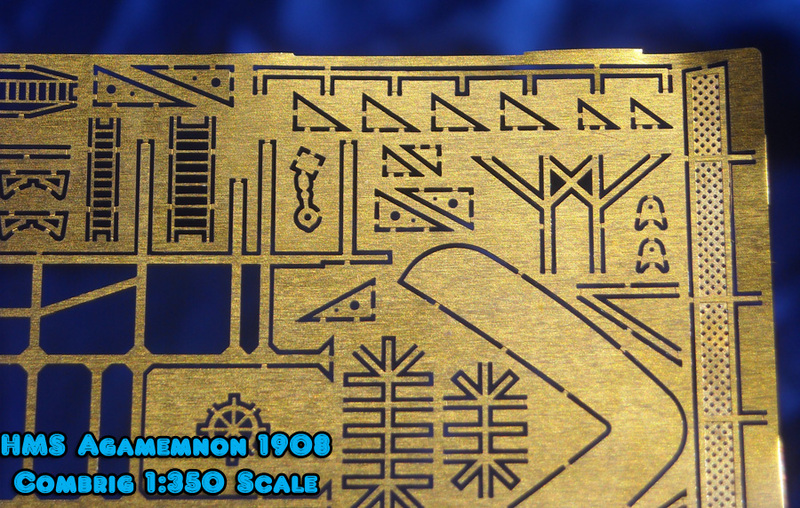 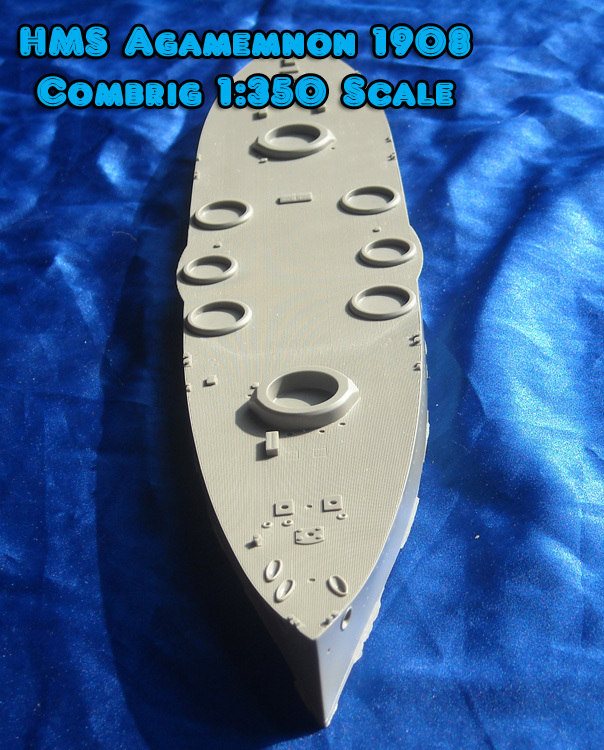 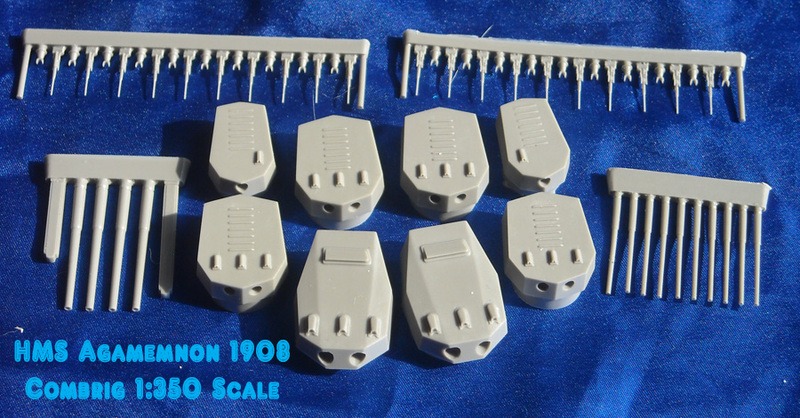 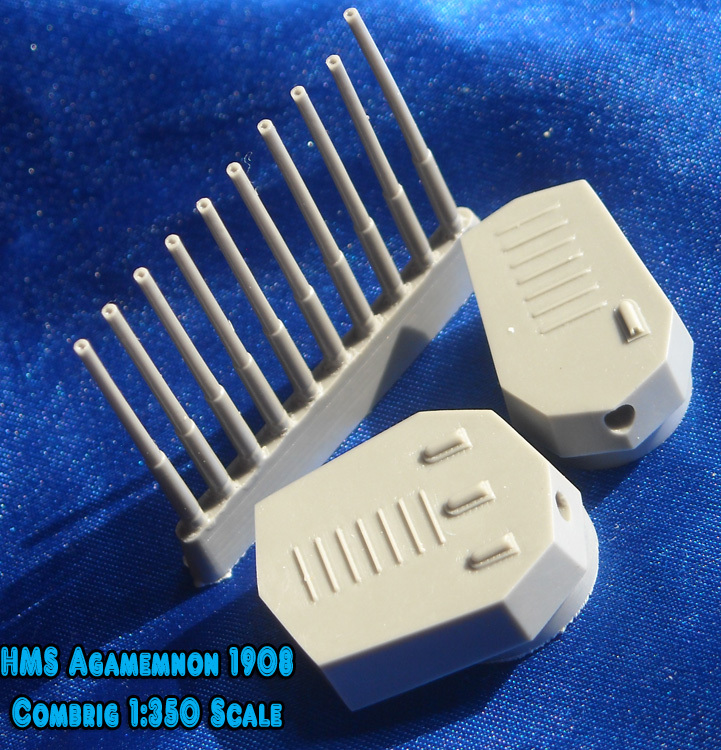 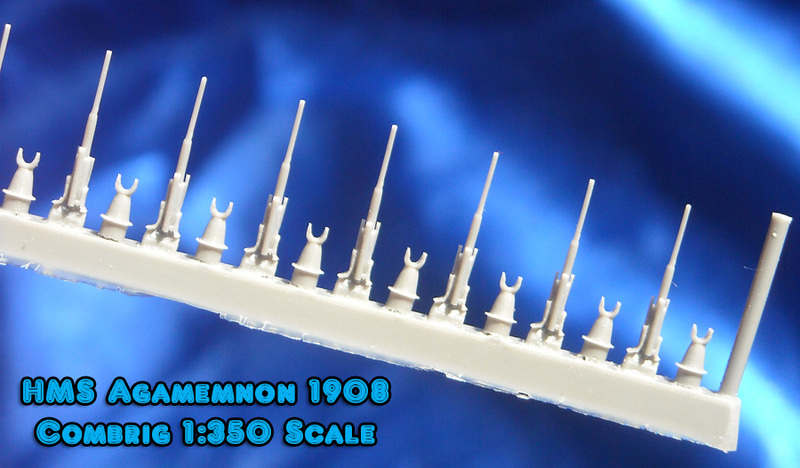 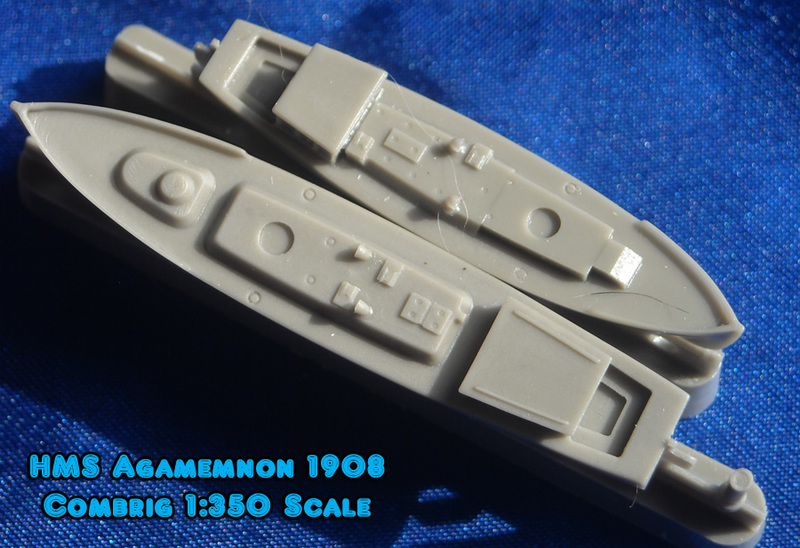 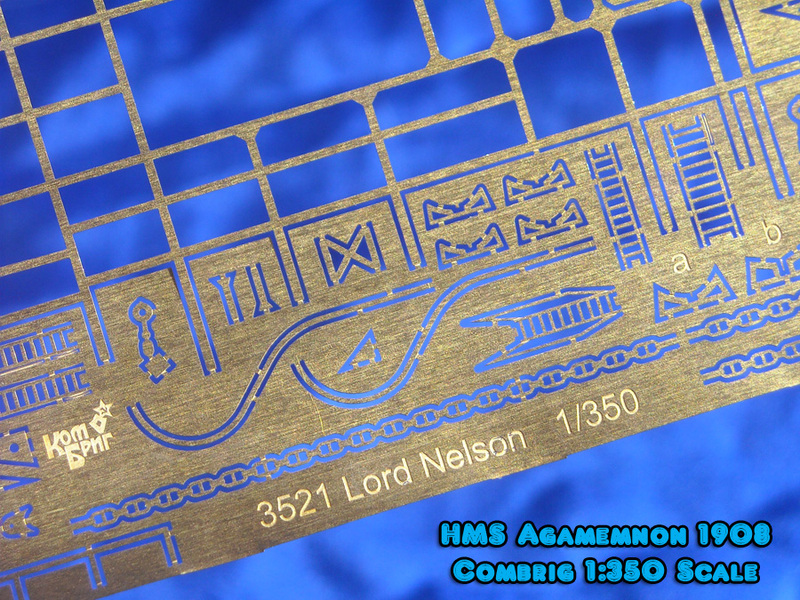 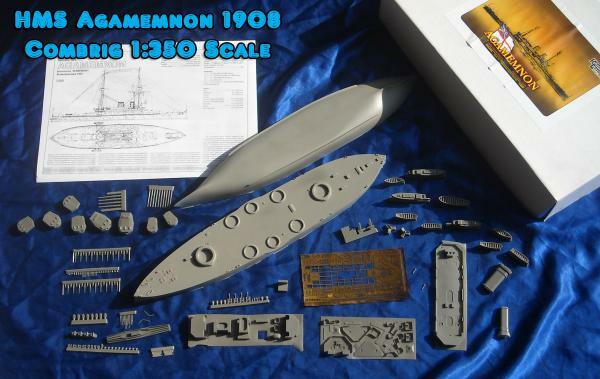 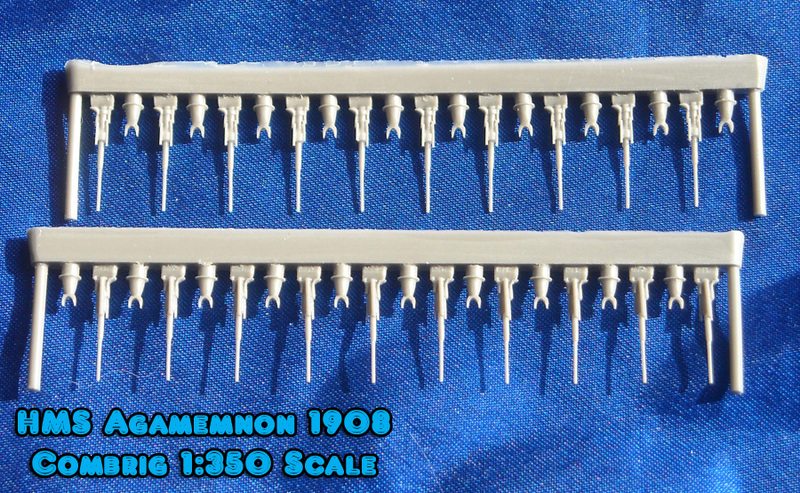 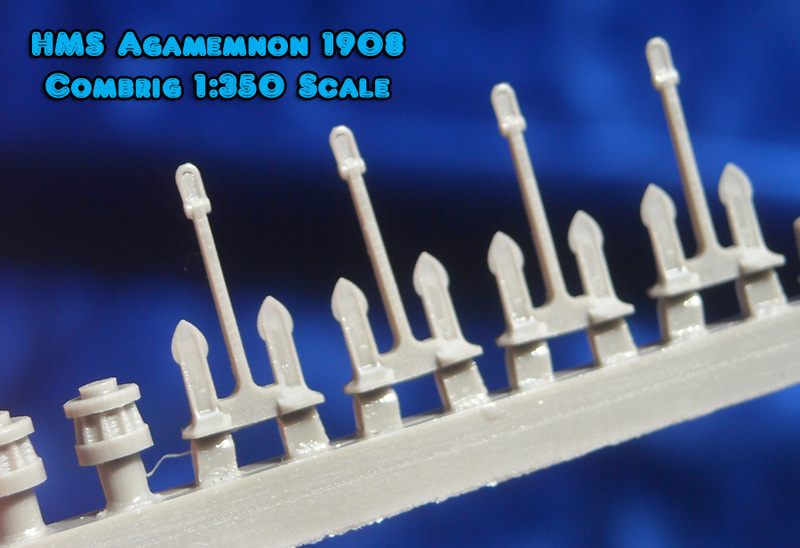 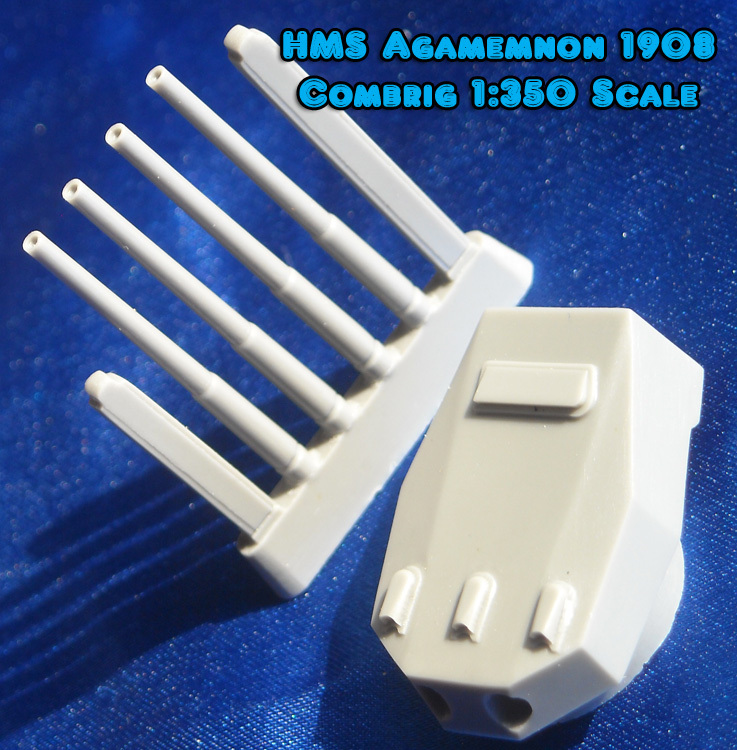 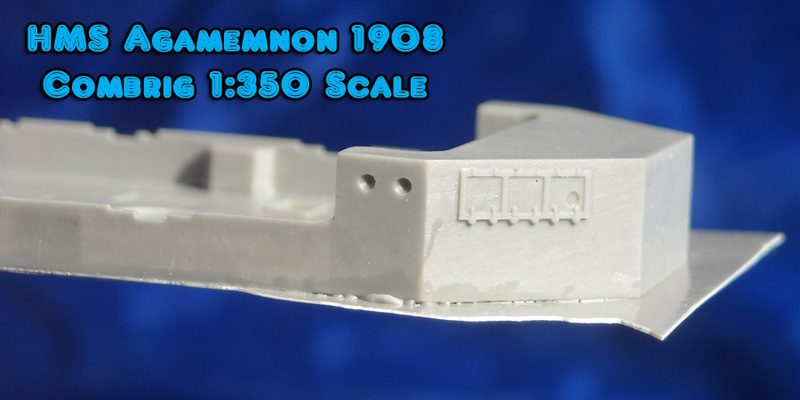 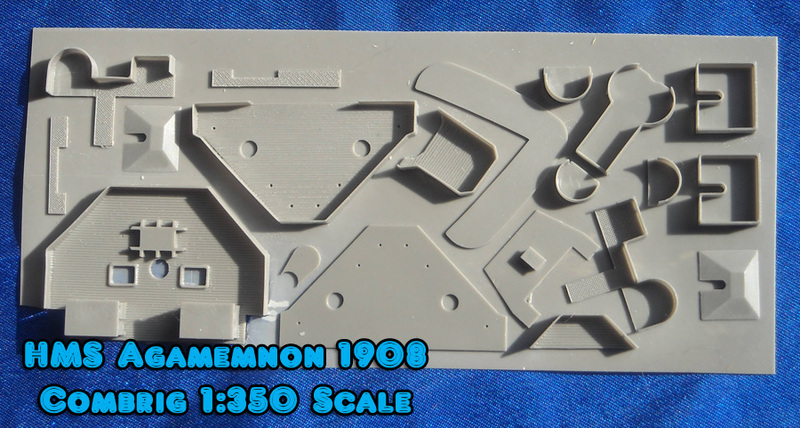 The brass fret in the Agamemnon is the same as in the Lord Nelson kit, as it states Lord Nelson 1/350. 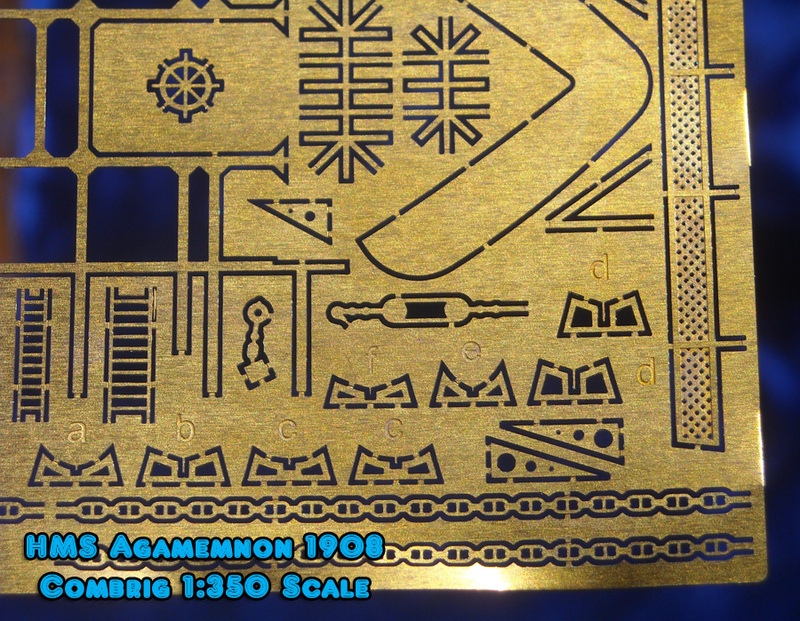 Most of the brass parts are shared in common but not all. 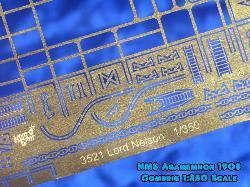 chart house for Lord Nelson. 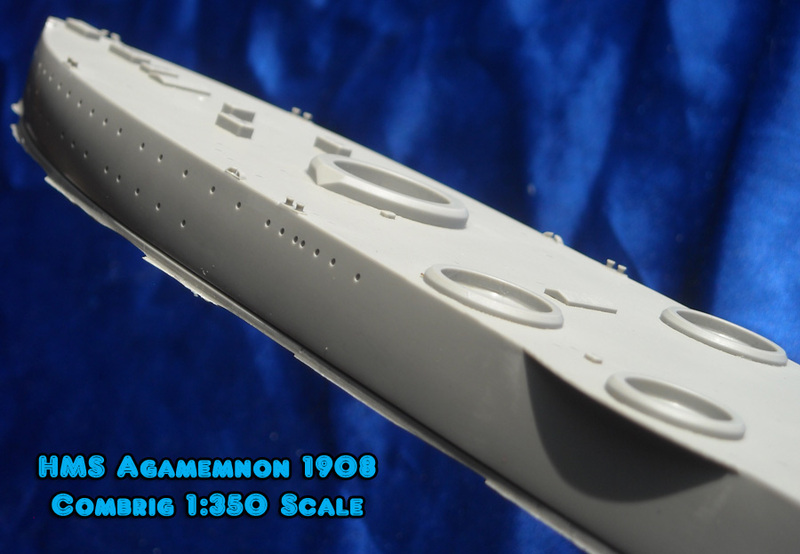 A full 60% of the fret is taken up by a large boat skid frame that fits above the flying deck really creating a piled up appearance. 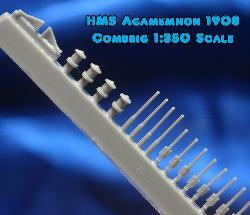 it is not included in the fret. 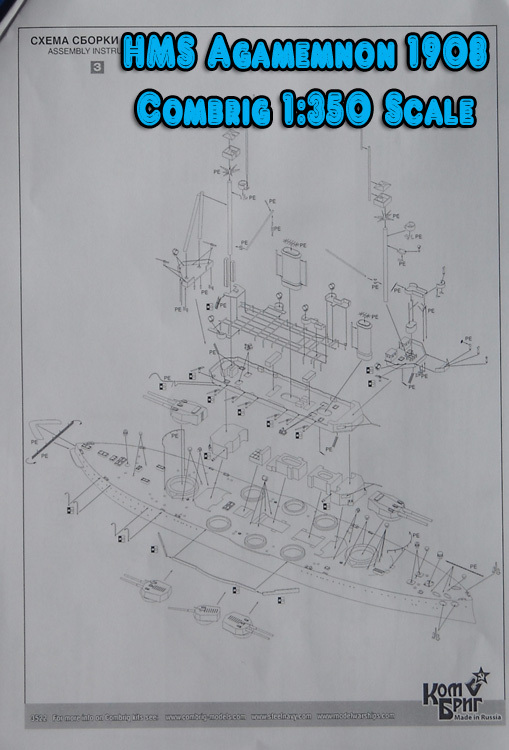 insufficient and references should be used to assist. 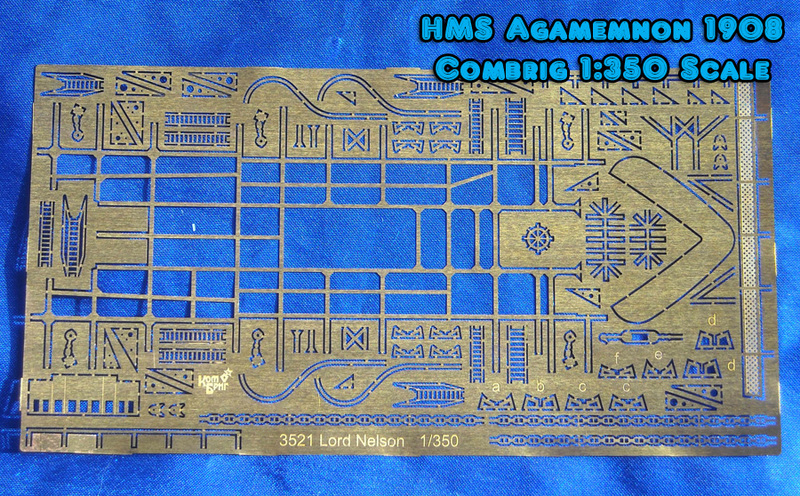 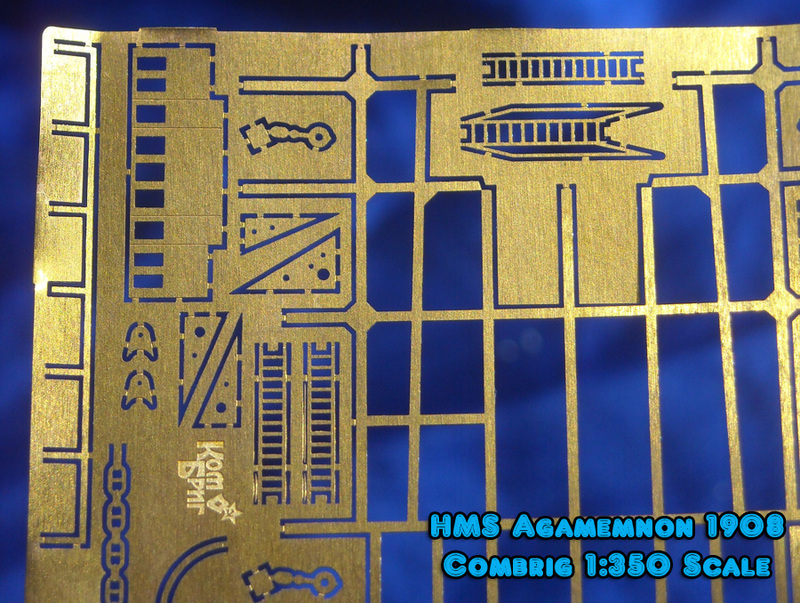 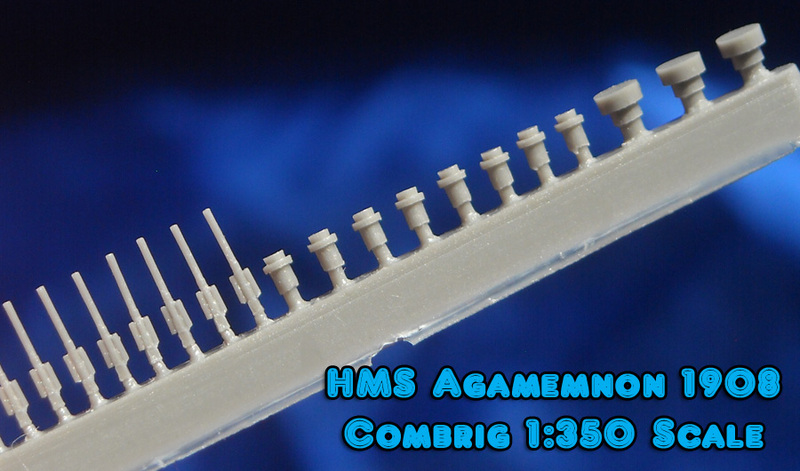 However, it does show Agamemnon assembly and not that of Lord Nelson.